EarthCheck has awarded Zuri Zanzibar, the stylish beachfront 13-acre Jestico+Whiles-designed resort, a Sustainable Design Gold Certification. The resort, which is located in Kendwa, on the the idyllic northern west shores of Unguja, provides a seamless blend of contemporary design, sustainable architecture and authentic African flair offering world-class gastronomy, wellness and responsible tourism. EarthCheck is the world’s leading scientific benchmarking, certification and advisory group for travel and tourism. Zuri Zanzibar achieved a Gold certification in EarthCheck’s Design Programme which facilitates environmentally, socially and economically sustainable design and construction management of collective buildings and associated infrastructure. Results are determined by operational data from global clients which benchmark their environmental, social and economic performance. As part of the certification process, the resort was assessed by an independent third-party auditor who appraised Zuri Zanzibar against the ten key performance areas of sustainability approach, energy, water, solid waste, land use planning & biodiversity, sustainable materials & resource conservation, indoor environmental health & pollution control, transport, social, cultural & economic wellbeing and innovation. Stewart Moore, CEO and Founder of EarthCheck stated: “Achieving EarthCheck Design Gold places Zuri Zanzibar as an industry leader that has benchmarked its design and sustainability performance against internationally recognised criteria and demonstrated responsible business practices across their operation. Meet Up London confirmed last week that James Soane, Director of Critical Practice at the London School of Architecture, will be its headline speaker for the networking event which takes place on March 28 at Minotti London’s showroom. 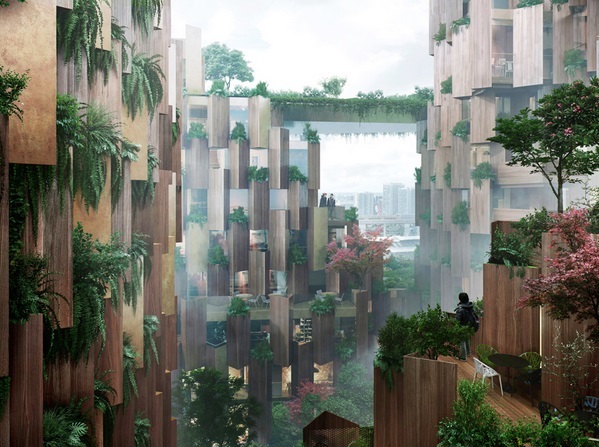 Soane’s talk, entitled Repairing The Future, has been designed to cast a critical eye on today’s industry while looking at news ways in which we can include young designers to help create more practical and more ecological cities. In an era where there is a marked quest for ethical choices, Soane’s talk will confront the distrupters in that stand in our industry’s way when creating more sustainable cities. Considering our own values, he will identify opportunities that demonstrate alternative and sustainable ways of designing, living and adapting. In addition to welcoming leading designers, architects, hoteliers and suppliers of all ages, Meet Up London will also carry a light theme to support young creatives. Attending the evening, courtesy of Hotel Designs, the 40 shortlisted finalists for Hotel Designs’ 30 Under 30 initiative will find out on the night who among them have made the final 30 Under 30. 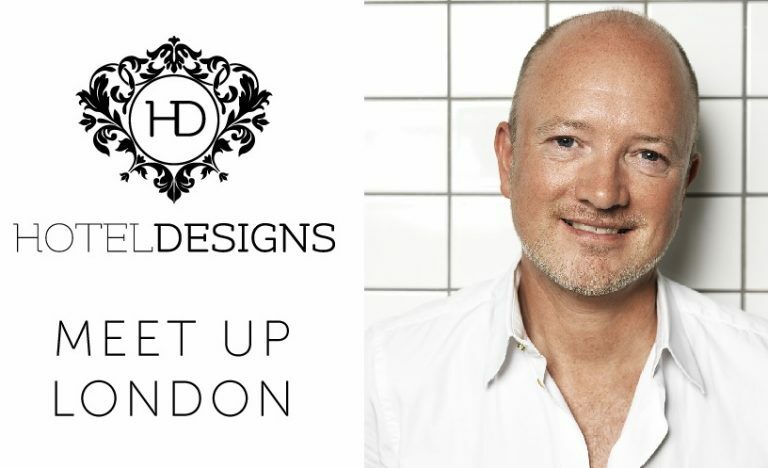 More than 200 hospitality professionals are expected to attend Hotel Designs’ highly anticipated Q1 networking event, Meet Up London. 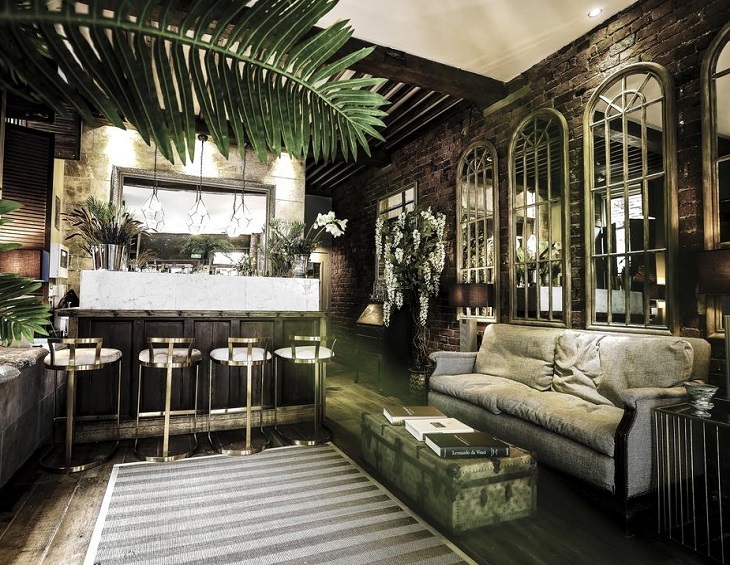 If you are an interior designer, architect, operator or hotelier and would like to attend the Hotel Designs Meet Up London: 30 Under 30, click here to book your place. 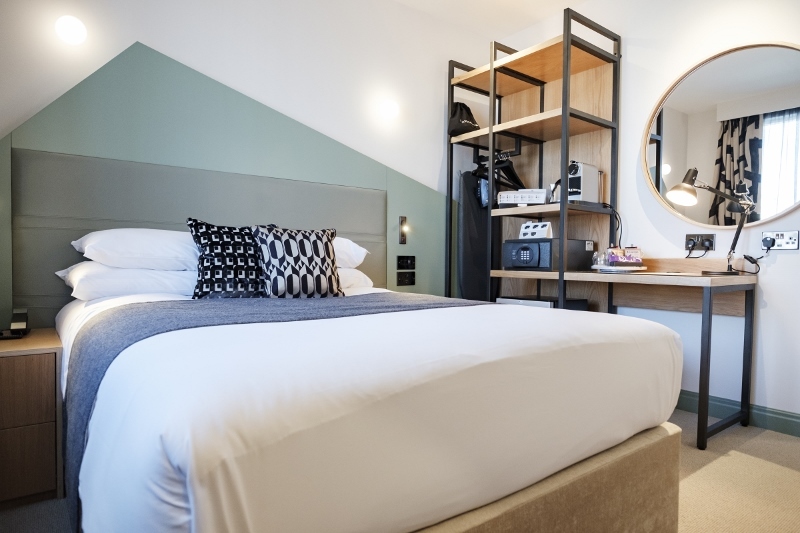 Interior architects Sibley Grove has completed work on a collection of hotel guestrooms for the brewery, Fuller, Smith & Turner at The Fox & Goose business hotel in Ealing, London. All products and materials used in the project have been assessed on five fundamental principles: aesthetic quality, build quality, value, environmental impact and social impact. The bespoke joinery has been designed for disassembly making it easier to reuse the materials in the future. Meanwhile, the upholstery and dressing items have been created using fabric with recycled content from mills in the UK or mainland Europe. 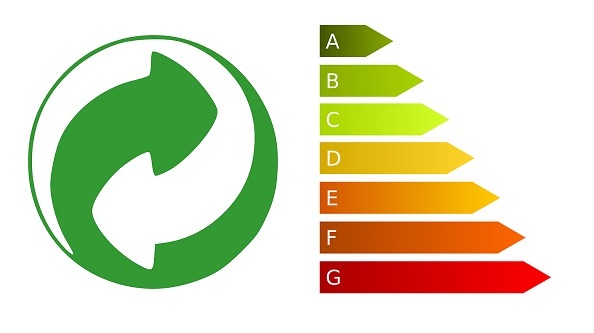 Cradle to Cradle CertifiedTM products have been used throughout, including suspended ceilings from Armstrong, Tiles from Mosa and carpets from Ege Carpets. “We’re making a continuous effort to tackle some of the issues that are rife in the design industry. Mosa (C2C) tiles, Ege (C2C) carpets, Oak, Birch Ply, Steel. Major suppliers include Castlebrook (furniture), Mosa, Ege, Hansgrohe, Armstrong and recommended supplier Chelsom Lighting. The project uses materials, fixtures and fittings that are considerate of the environmental and social impact, with no additional cost to the client. 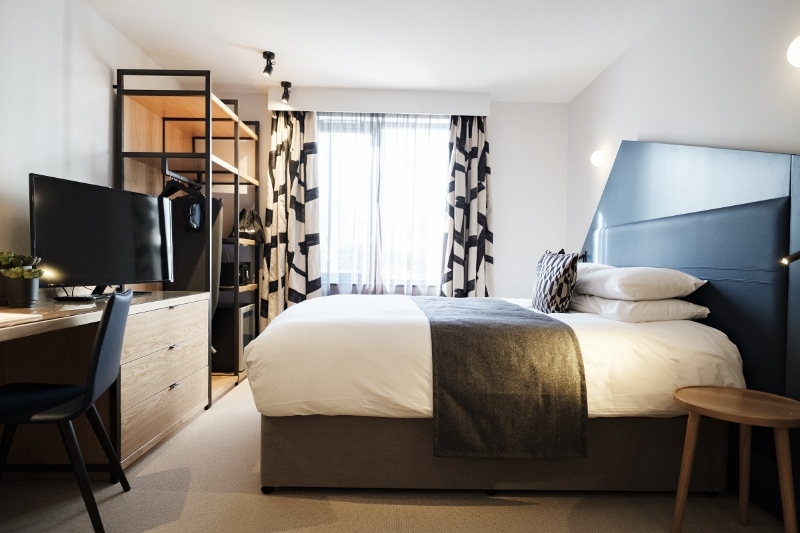 The guestrooms are light, bright and open space with contemporary detailing. In addition, the space is functional and practical, perfect for business customers. Sibley Grove is an interior design studio founded by Kate Sibley and Jeremy Grove, based in Totnes, Devon. The company has a deliberately open and collaborative approach to design, bringing together local suppliers with global companies and clients who share our commitment and ambition to design things better. Part of the exceptional and adventurous, brand-new Blue Safari Seychelles concept, Cosmoledo Atoll has opened. The resort is comprised of just eight sympathetically restored shipping containers which adhere to the ecological ethos of Blue Safari Seychelles and have been repurposed and intelligently redesigned to form luxury accommodations in the untouched atolls in the Seychelles. Cosmoledo Eco Camp is the only accommodation available in the wild Cosmoledo Atoll, a cluster of 21 islands located 1,030km (560 nautical miles) from the Seychelles main island of Mahé. It is one of the most remote groups of outer islands in the Seychelles, its perimeter covered with vast, sand flats dotted with islands of various shapes and sizes. A nature lover’s paradise, the ecosystem is pristine and unspoilt. Cosmoledo Eco Camp forms part of the new Blue Safari Seychelles concept, which aims to promote conservation of the outer atolls through low-impact eco-tourism projects. It is committed to the preservation and protection of the natural resources of the Seychelles outer islands. Each of the eight Eco Pods has been beautifully designed to minimise environmental impact while maximising guest comfort. Interiors use local woods and a palette of soft neutrals to ensure each pod blends in seamlessly with the sand, surrounding palm trees and dune shrubs. A fully retractable front wall means guests can look right out onto the ocean from every aspect and enjoy sea breezes – although air-conditioning is available – and the covered terrace makes a blissful spot to share a drink as the waves lap nearby. Old tree trunks have been repurposed as tables and fishing nets as hanging lamps. The Cosmoledo Atoll is famous for its blue waters and fly fishing, with many Giant Trevally, Milkfish, Bonefish and Barracudas in the waters. The undiscovered section of coast is full of raw coral reefs. Each Eco Pod in Cosmoledo Eco Camp sleeps two adults, has 38 square meters of space. Brøchner Hotels’ new 5-star luxury boutique hotel, Hotel Herman K, is the first hotel in Denmark where chemicals are not a part of the cleaning products and process. A natural step for the Danish leading boutique hotel chain, who aims to create unique and sustainable hotels. The hotel, which is situated in central Copenhagen in a converted station, welcomes guests through glass doors and into a large high-ceiling lobby area. In the centre of the lobby is a striking art piece, comprising of various branches which together hang above a bar in the public space. Juxtaposing the dramatic public area, the guestrooms and suites upstairs are clean, light and typically minimalist with a soft cooling grey and dark blue colour scheme which marry up with white marble surfaces and contemporary furniture. Hotel Herman K’s new resources in its housekeeping and cleaning process, for the benefit of both the environment, guests and the staff. Brøchner Hotels has together with the Danish company ACT.Global, coated all the exclusive rooms and suites and has become the first chemical-free hotel in Denmark. 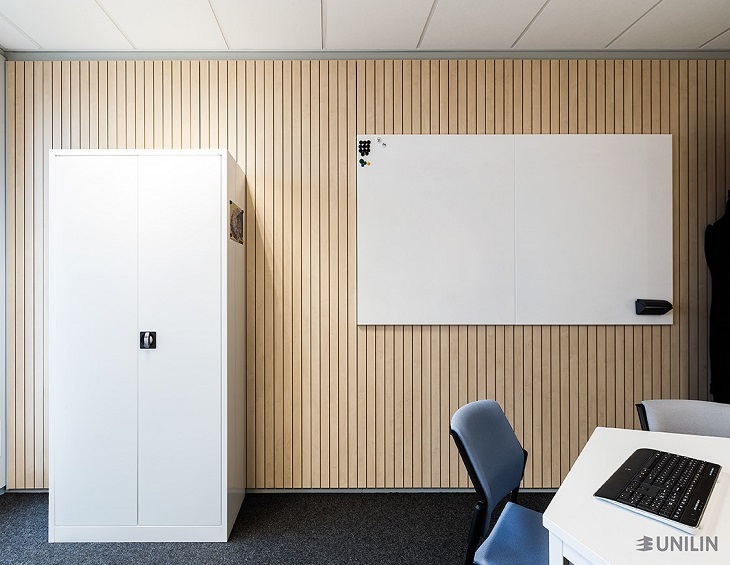 The rooms and suites are treated with ACT CleanCoat – an invisible and odourless coating that makes surfaces self-disinfectant, ensuring low-bacterial level, healthy indoor climate and cleaner air. “We saw that limestone and dirt simply did not stick to bathroom elements, to the same extent as before the coating,” explained Christian Lond, Director of Procurement at Brøchner Hotels. “Because of this, our Quality & Service team do not have to use cleaning products containing chemicals, and the cleaning itself is also less demanding. 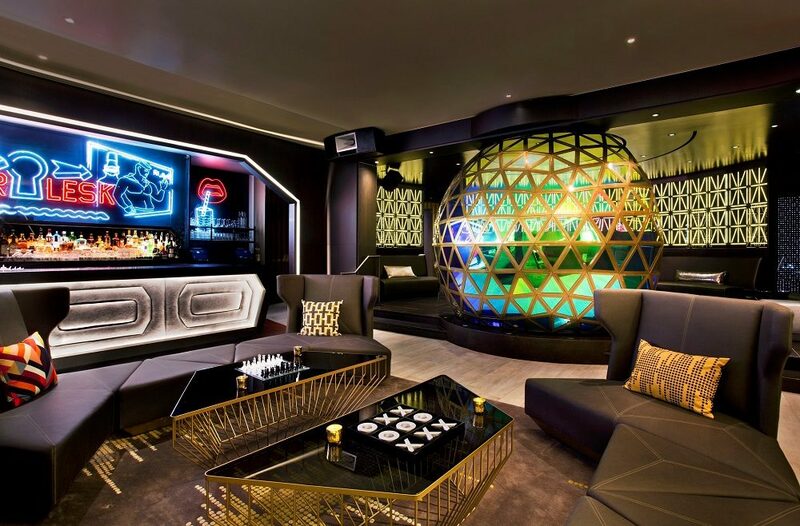 In addition to the chemical-free unique selling point, the hotel’s tech edge allows for a seamless check-in process, while also allowing guests checking in to personalise their entertainment system, which all rooms featuring state-of-the-art screens and speakers. 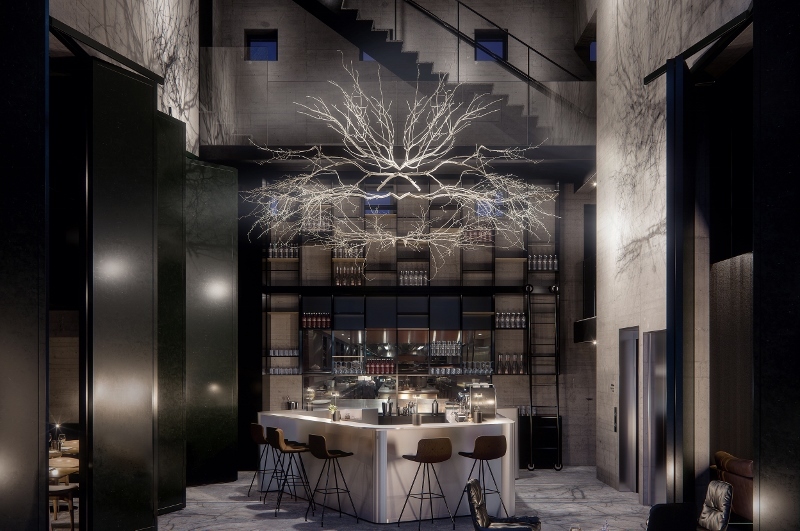 The hotel is the fourth property in the Brøchner Hotels portfolio and opens with the aim to raise the bar of Copenhagen’s hotel scene. The ocean-facing boutique hotel Let’s Sea Hua Hin Al Fresco Resort champions locality and eco-minded initiatives. 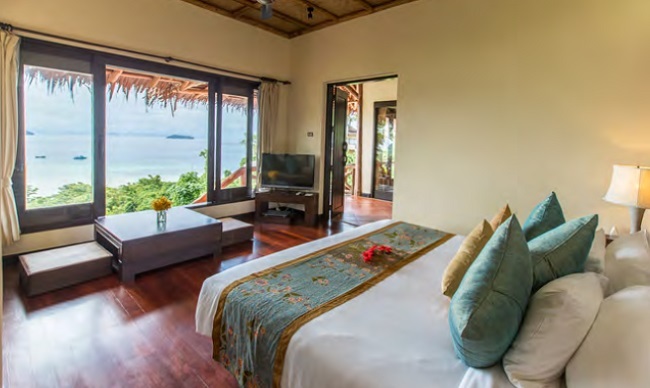 The barefoot Thai luxury hotel has recently completed a significant renovation to its 40 suites, public spaces and famous beachside restaurant. Eco-chic and dedicated to supporting the community whilst preserving the natural beauty of its surroundings – the hotel’s staff are entirely local, and its eco-architectural design minimises the overall environmental impact. With sense of responsibility to sustain and be a leader in romantic relaxation for conscious travellers, the resort briefly closed over the first two weeks of June 2018 to give each of the public areas the full renovation. Taking it one step further and looking beyond aesthetics, the ambition behind the renovation is to set inspiring new standards of quality in luxury hospitality. With sense of responsibility to sustain and be a leader in romantic relaxation for conscious travellers, the resort briefly closed over the first two weeks of June 2018 to give each of the public areas the full renovation. 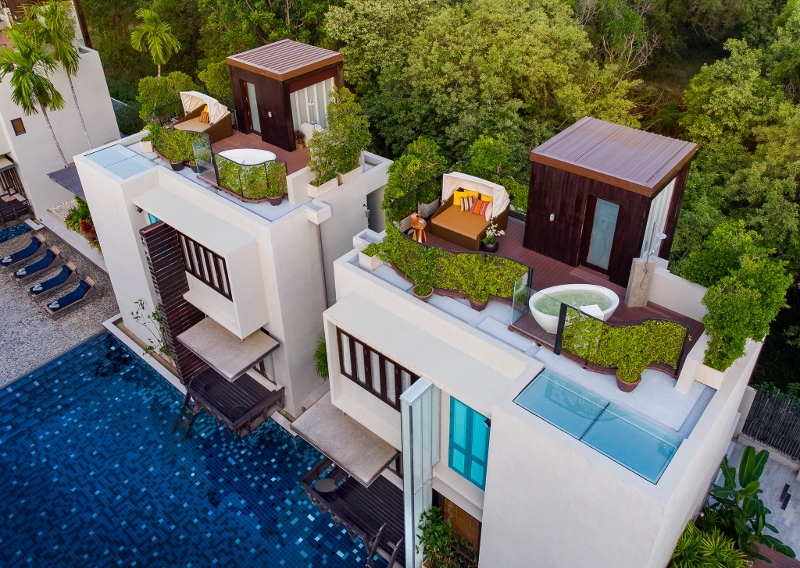 Reopening with its fresh new look as a destination that draws a new blueprint of cutting edge cool in Hua Hin, the intimate suites orbit a spectacular 120-metre lagoon pool whilst the carefully considered architecture takes full advantage of natural light and cooling breezes. Certifying the resort’s carbon footprint is kept to a minimum, all food is locally sourced with sensitive waste management systems. 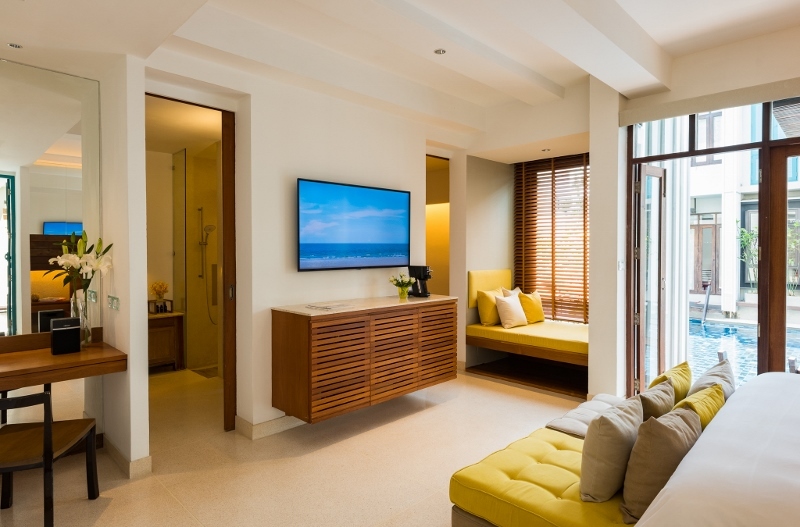 Leaving lasting impressions, newly installed eco-friendly air conditioning and smart showers blend into natural hues to create an organic ambience that retains a strong sense of place with Thai influence. New to discover is a wellbeing pavilion located above the high-tech fitness studio, high-speed internet connections, Bose Sound Wave 10 Bluetooth speakers and oversized spa tubs situated on the rooftops of the suites whilst recognising the importance of sleep is the hotel’s new collection of next generation LaZzzzz Beds. Let’s Sea Hua Hin Al Fresco Resort originally began as a restaurant which has become renowned with both local and international diners. Female Head Chef Supanee J. Ketbumrung leads the way serving a fragrant blend of local and international favourites that are seasonally sensitive, along with its own unique creations that make Let’s Sea Hua Hin Al Fresco Resort a gourmet destination in and of itself. I, like many designers, adore rich textural surfaces and luscious fabrics, but whilst colour, print and pattern are key principles of fabric selection for interior designers, sustainable development and practice is without a doubt the rising focus in today’s modern design. 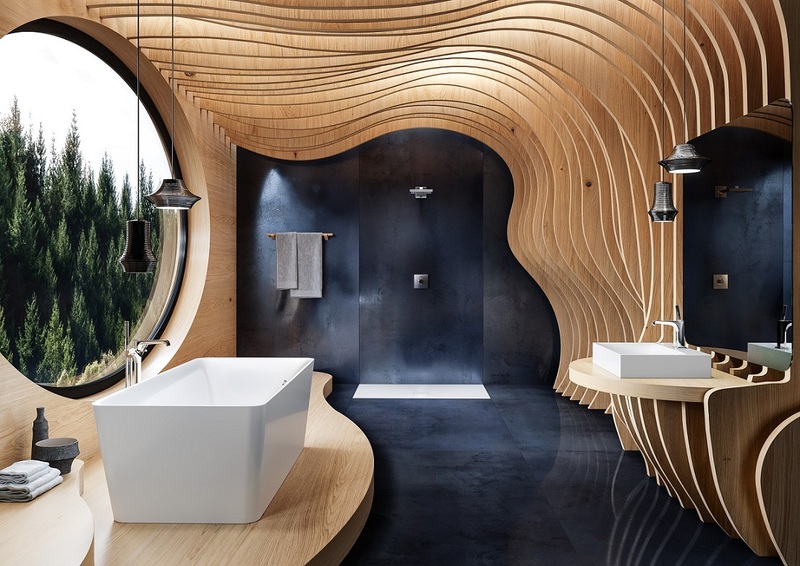 Once perceived by many as just a passing trend, sustainable design has never been more important than it is today, but also, never before been so widely discussed. Shocking scenes in BBC’s Planet Earth II portrayed the devastating effects of plastic waste and global warming, prompting a national awakening to the consequences of our actions. In a global effort to preserve the environment, new research indicates a rise in eco-friendly holidays, with increasing numbers making hotel choices based on its eco-friendly credentials. It is now prevalent that creatives and designers must design with purpose, marrying together stylish aesthetics with design processes that work in harmony with the environment, and not against it. 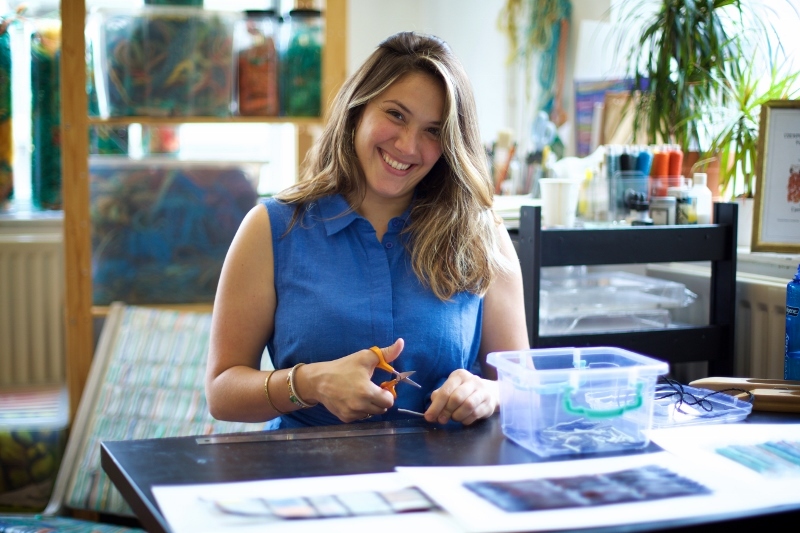 Woven textile designer and member of Cockpit Arts, Carmen Machado, is just one creative maker taking an active stand on the environmental issue of ocean waste. 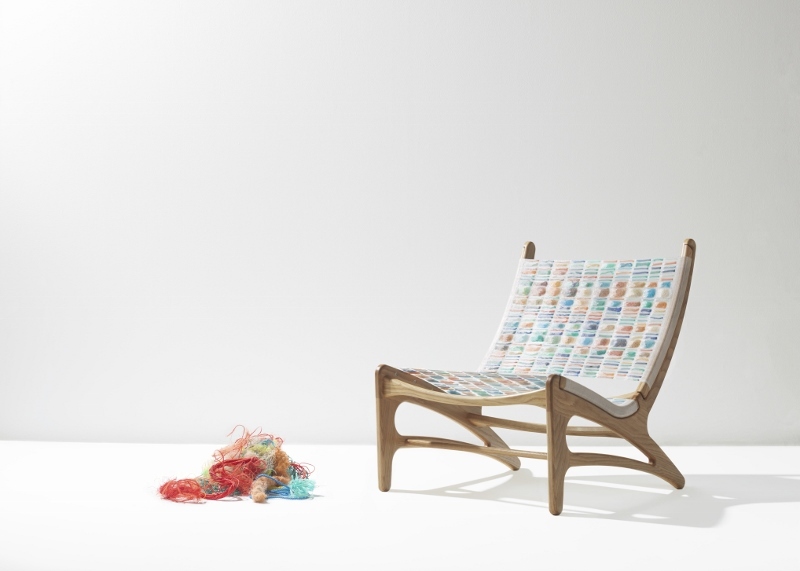 Machado’s practise consists of repurposing abandoned marine debris, namely ghost netting, and transforming this into unique, hand-woven textiles, suitable for upholstery as well as stand-alone art. 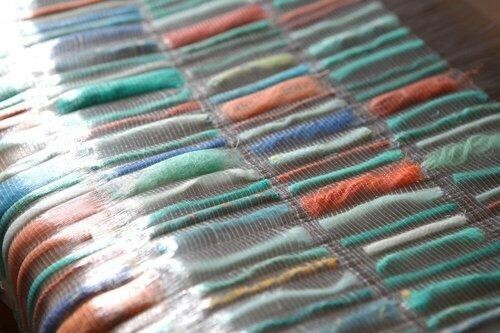 Machado’s grid-like textiles truly capture the essence of the beach with the bright colours of the sun-bleached netting coming through within the weave. 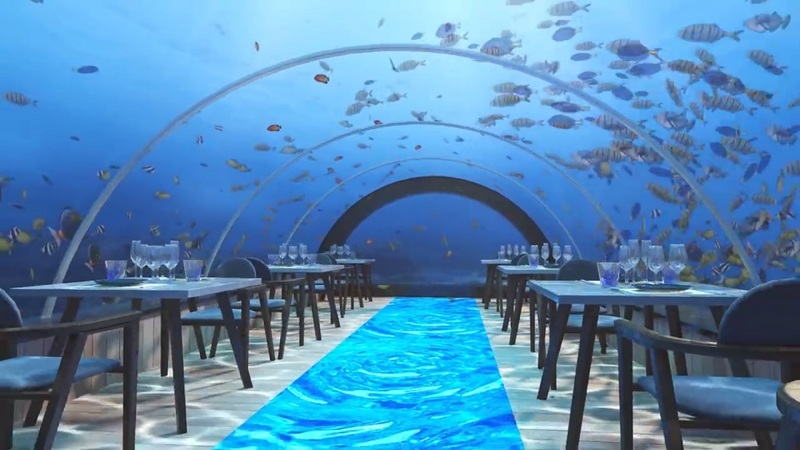 Again, whilst Machado has applied her innovative design process to create furniture and wall hangings, one could argue this interesting response to ocean waste would make for stunning interiors in a beachside boutique hotel. This would simultaneously raise awareness of the issue at hand. “Together we set a new standard in large scale bio-based 3D printing, towards a more personal, beautiful and sustainable future” says Dutch company, Aectual. 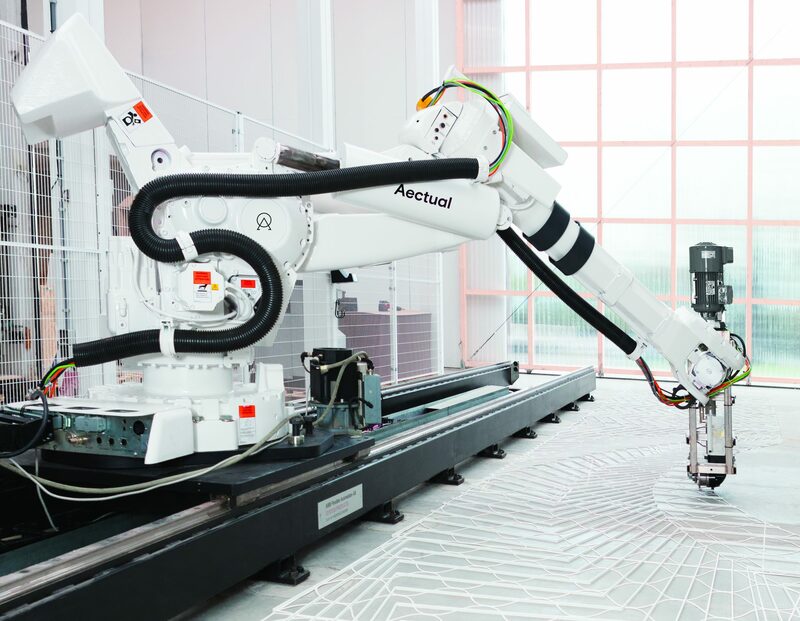 Using huge robotic 3D printers, Aectual prides itself on creating large-scale customisable sustainable floors. The smart robotic technology uses recyclable bioplastic (made from plants) to print the framework, which means there is zero waste in the process. The fact that this 3D-printed mould material can be fully recycled back into the print cycle presents unparalleled design opportunities for the hotel interior design industry. Originally launched during Dutch Design Week 2017, Aectual has created floors for the likes of Amsterdam Schiphol airport and the Loft Ginza Flagship store in Tokyo. This begs the question of why this sustainable approach has not yet been applied beyond public spaces, and into the world of hotel interiors. Another fascinating method that could be applied to textile interiors is printing fabrics with ink made from soot particles! It may sound unbelievable, but, in response to the burdening issue of air pollution in India, Graviky Labs, a startup consisting of savvy MIT Media Lab graduates, last year developed a revolutionary technology, KAALINK, that converts carbon emissions from chimneys and vehicles into ink. 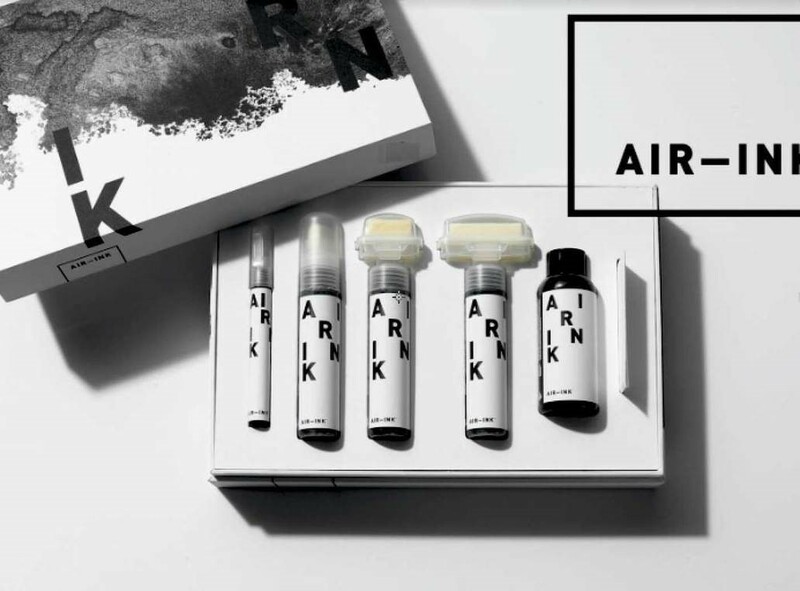 The outcome has been named AIR INK – a range of markers and inks for designers and artists. This ingenious transformation from pollutants to tools for art prompted product designer, Kelly Maj Gijsen, to approach the Graviky Labs team and ask if they had yet created ink for textile purposes; they hadn’t. This is where the collaboration began, and Gijsen worked with the team to create a version of Air Ink for use on fabrics. With these inks, Gijsen then produced a range of patterned scarves using 100 per cent organic cotton and dying the fabrics with natural ingredients such as turmeric, indigo and pomegranate. These are just three examples of innovative approaches with a nod to the environment in design today, and while the processes have not yet been practiced within the space of hotel interior design, the breadth of opportunity and scope for designing with a purpose is endless. We may not have a Stella McCartney of the interior fabrics world, raising awareness of ethical design, but that certainly doesn’t mean that it should be forgotten about. These examples also show that sustainable design and process need not mean basic, as some assume, but has the potential to produce textile and surface design that is suitable for, and viable within the luxury interiors market. 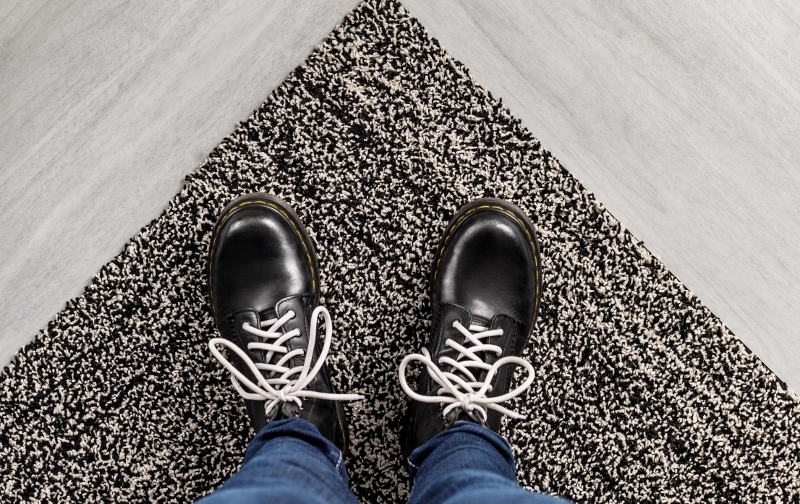 Modular flooring company Interface is the first global flooring manufacturer to declare that all of its products– including all carpet tile and luxury vinyl tile (LVT) – are carbon neutral across the entire product lifecycle. The company is now offering its Carbon Neutral Floors™ programme as standard to every customer at no extra cost to help them meet their own sustainability goals, while also allowing them to reduce the emissions impact of their projects or spaces. Interface estimates it will offset 400,000 metric tons of carbon emissions in 2018 as part of the programme, equivalent to the carbon absorbed annually by nearly half a million acres of forest. “Interface has spent the last 24 years focusing on eliminating our own environmental impact. As we embark on our new Climate Take Back™ mission, we now have a more ambitious goal to reverse global warming. We cannot do this alone, and our customers have come forward asking how they can participate,” said Erin Meezan, Interface’s Chief Sustainability Officer. “Architects and designers, flooring contractors and end users are beginning to see that their decisions – the products they specify and buy – have a direct impact on our climate. 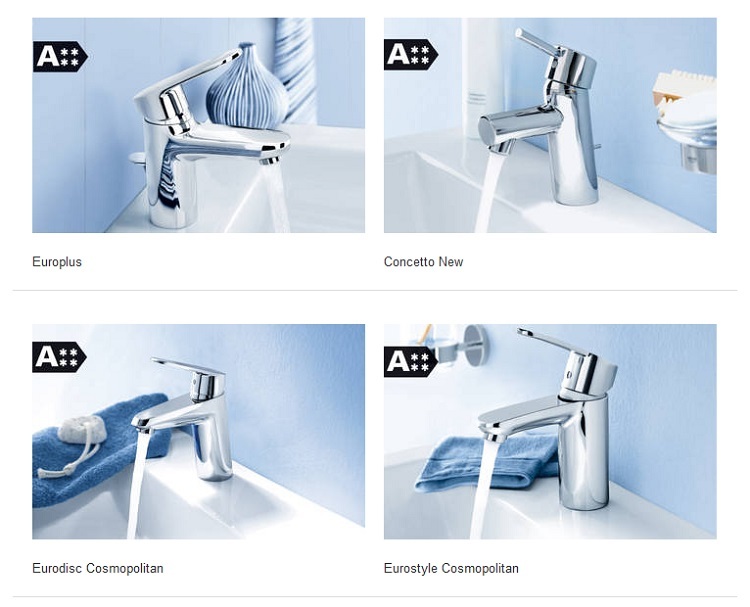 By specifying Interface products, they can do their part to address embodied carbon. And, we need to work together to elevate embodied carbon as an opportunity and to shine a light on those that are taking the lead. Now with every purchase, our customers are joining us in this important endeavour,” Meezan concluded. Through the Carbon Neutral Floors programme, Interface will also offer to provide information to each customer to help them understand the carbon impact of their purchase. For each flooring purchase, the company can calculate the estimated carbon reductions and present that documentation to the customer at the project or total global purchase level. For example, for every 1,000 square meters of Interface flooring sold, the company will offset carbon emissions equivalent to a car travelling 25,000 miles, or one trip around the Earth. Interface will also offer to provide tools to promote their leadership with key stakeholder groups, including their employees. 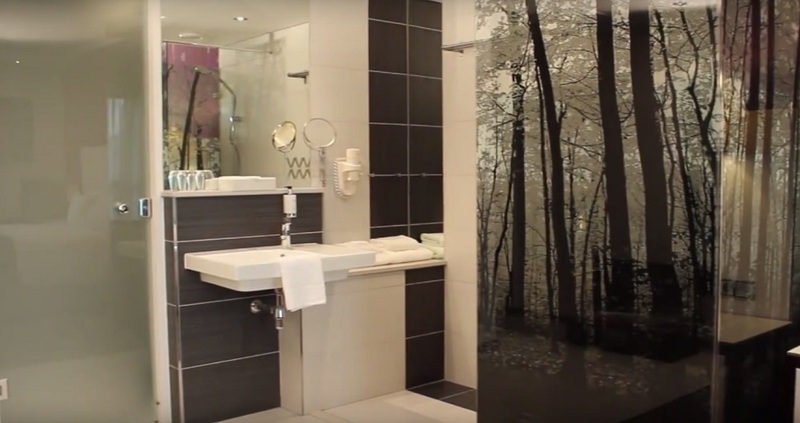 Business travellers are on the look-out for greener places to stay. Over half of business travellers (52%) would like to make more sustainable choices when they travel, but don’t know how, according to Booking.com’s global Sustainable Travel Report. The report indicates that the green travel trend continues to gain momentum with a large majority of global travellers (87%) stating that they want to travel sustainably. Beyond personal travel, making the right choices for the planet is also extending to the professional sphere, with many people now considering how sustainable their business travel choices really are. Over half of business travellers questioned (52%) said they would like to make more sustainable choices when they travel, but also that they don’t yet know what steps to take. Some business travellers are already taking eco-friendly steps, however, when it comes to transport for example, with over half (56%) trying to travel by rail or road rather than taking flights, and 65% using public transportation as much as possible while on a business trip. 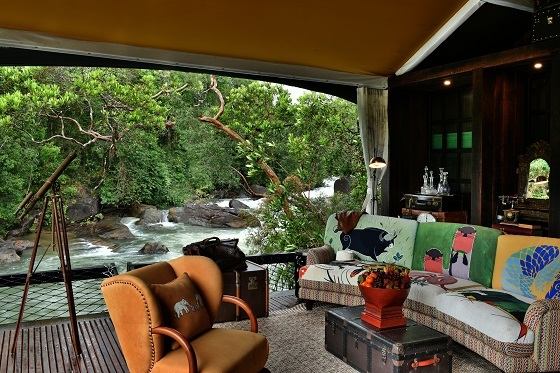 Business travellers are also on the look-out for greener places to stay, with over two thirds (69%) intending to stay in eco-friendly accommodation over the next year. Booking.com says one of the best ways to ensure a trip has less ecological impact is to keep things as local as possible, such as selecting accommodation with locally sourced, sustainable in-room amenity kits or with restaurants that serve locally sourced ingredients. Making the best use of local resources not only provides a more authentic travel experience, but also helps to cut down the carbon footprint of a trip. Business travellers are increasingly recognizing this, with 70% favouring local products and services during their stay. Of course, responsibility for eco-friendly travel choices rests not only with employees themselves. Booking.com says businesses are starting to take more responsibility and foster a more eco-friendly approach to business travel. In fact, 40% of business travellers say it is part of their company’s values to use eco-friendly accommodation, and over a third (35%) say it is part of their company’s travel policy. That said, the majority of those surveyed (61%) feel that their company should do more to promote eco-friendly accommodation options. The first thing visitors see on Bill Bensley’s website is the word disruption in block caps. The word is scrawled over a photograph of two people in a taxidermy shop. One is surreptitiously singing into a vintage microphone, while the other looks on, anguished, and a dog looks away. 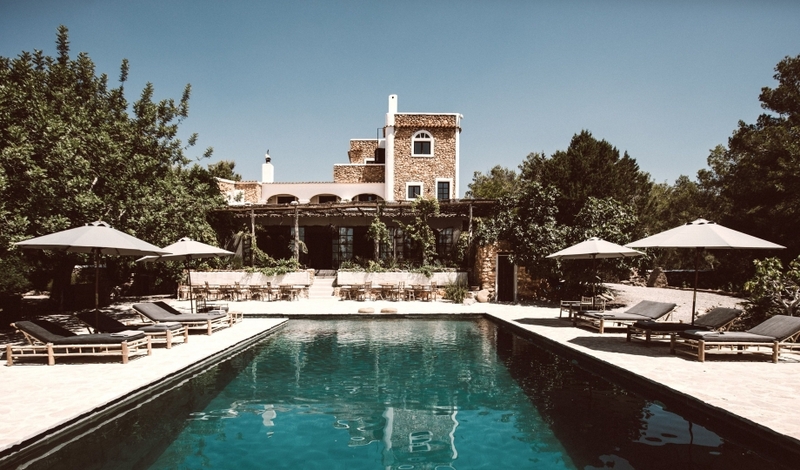 Welcome to the mad design world of Bill Bensley, designer of luxury resorts, hotels, spas and, as his website exclaims, “sometimes even palaces”. 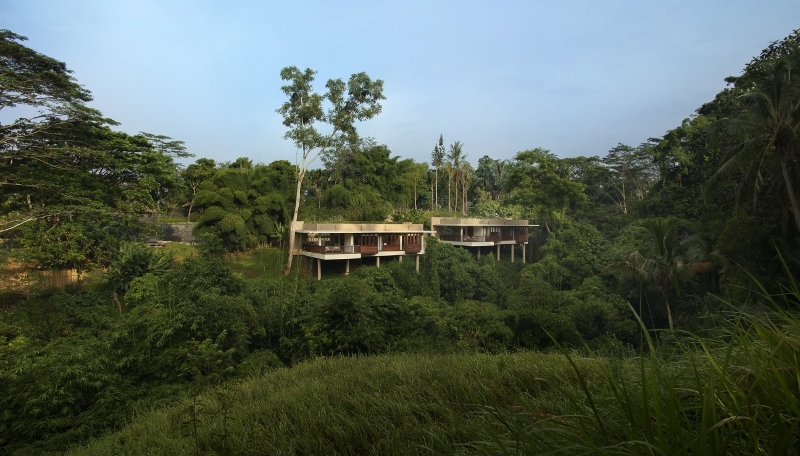 Bensley’s daring, innovative projects span the farthest corners of South East Asia, from Cambodia to Phuket, via a converted university in Vietnam, and a Malaysian Sultan’s royal palace. 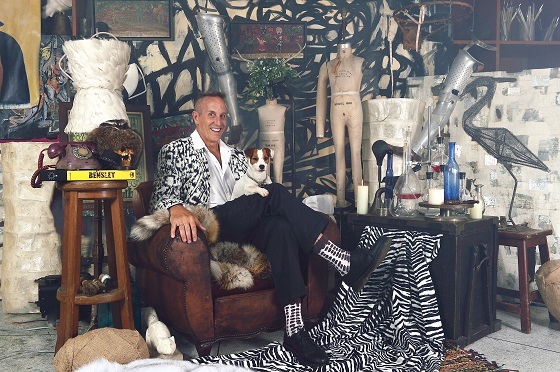 The designer resides in Bangkok and is infectiously wacky. Full of passion about conservation and the death of luxury, he is a dazzling conversationalist. Bensley uses his wiry mind to reach new horizons in sustainable luxury. He believes “luxury is dead”, but he’s being provocative, because his environmentally and socially conscious escapes, while supporting and celebrating local communities, are also stunning, brimming with high design. Bill’s latest project, Shinta Mani Wild, is opening later in 2018 (keep an eye on the website for dates). 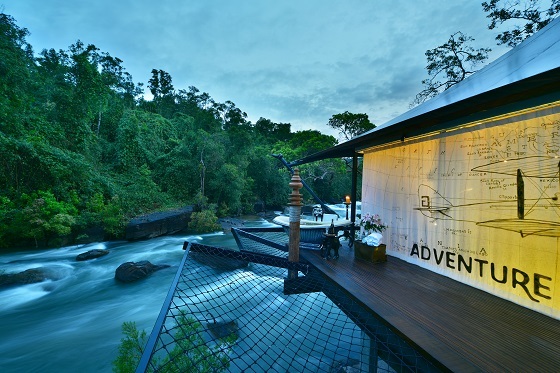 It will be a private nature sanctuary within one of Cambodia’s oldest wild parks. It is one of the last Cambodian habitats for bears, elephants, gibbons and tigers. Bill’s radical “luxury camp experience” occupies a previously unprotected spot of natural importance, and guests who go there will help fund the environment, whilst living in luxury tents. Waterfalls line the unchartered waters, and guests go out on exploratory trips in boats designed by Bill. But despite the accolades that have pouring in over the years, Bill still admits his biggest fear is that “no one will come” as he prepares for the opening of his immersive wildlife resort experience. Bill Bensley gave Hotel Designs his pearls of wisdom. Honestly i believe that luxury is dead. Our guests look to travel for a unique experience, and we know that environmental and societal sustainability is a growing part of that experience. My biggest sustainability challenge is keeping forests intact. People understand what sustainability means now, and ‘green washers’ are looked down upon, and sustainability is taking new forms that last longer. Talking to locals is imperative. We have a team that works in the communities we build in, who know the village heads and a good many of the families in the villages where we work. Usually we start with the government’s assessment of poor families that is split into category 1 and 2, with people in category one being the most at risk. Once we get this list, we go and speak with families about their needs and challenges and determine how best to support them. Our new Cambodian project Shinta Mani is hard-wired into the local community. Where to start? We have had a free hotel school for underprivileged young adults for the past 15 years AND dental services for kids, and wells, better foods, water filters… We have a hospitality training school, and we also support public schools in a variety of ways, and support poor students with scholarships to support their studies. We work with Global Dental Relief to bring dental care to poor rural school children. Last year we helped over 2,800 students receive dental care and education. We usually run 3 clinics a year each for about 1 month. We’ve also built 199 private homes. Along with 1,450 water wells, and we help families when emergency food aid, as well as providing no interest loans for people wanting to start their own business, or to students wanting to complete their university studies. So far, we have helped to start 60 family run businesses. An ideal day spent at Shinta Mani…. Would be to go into the villages and see just how Cambodians really live, and perhaps do something to help. We are opening up a huge part of Cambodia that even the most well traveled has never seen. And it is SPECTACULAR. The three essential ingredients for a hotel opening are… An untold story, an original design and superb associates. I’m most proud of… The mural of King Jayavarman, a Khmer King who reigned from 1181 to 1218, at the Shinta Mani Angkor Bensley Collection. We scaled his robe up by 100 times. 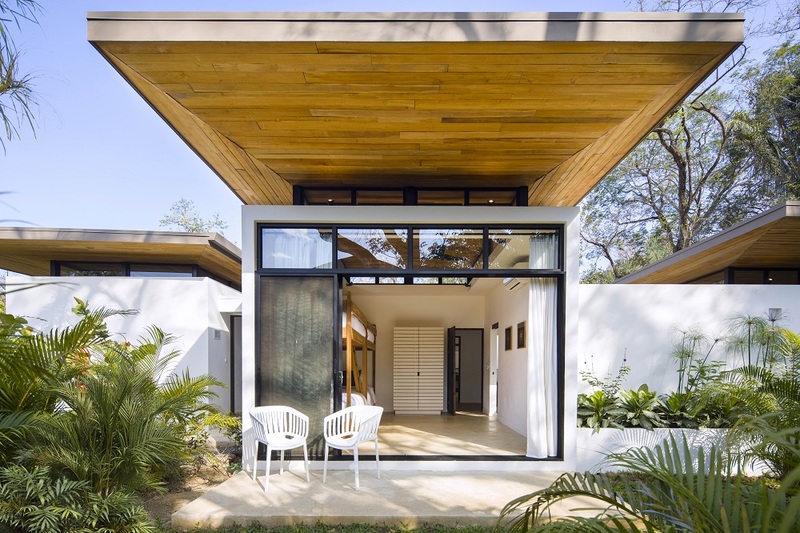 The statement feature spans the courtyard walls from inside to outside. That crazy idea really worked out well. The biggest mistake I have made in my career so far was… Building a yellow submarine in a swimming pool at a golf club in Singapore in 1985… Atrocious! Every morning I wake up with… One of my Jack Russels licking my face, wanting to go for a run. I unwind every by… Running through fields and streams with my four dogs. 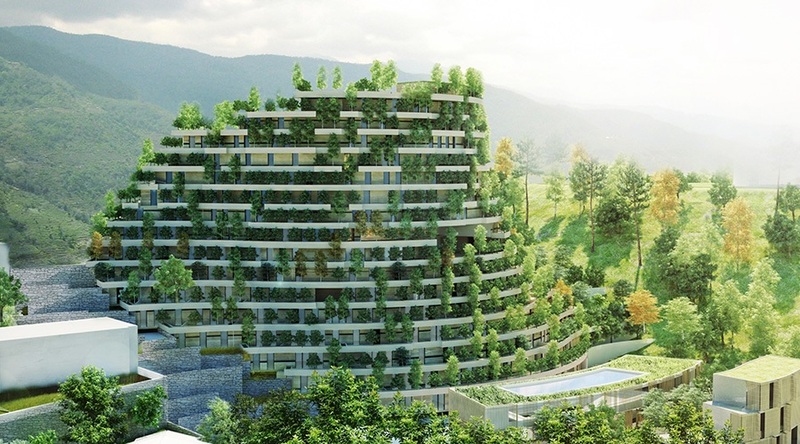 The world’s first energy positive hotel is set to open in 2021 will generate enough energy over the course of six decades to pay for its entire construction, its day-to-day running and its own demolition. The Svart Hotel also just so happens to be architecturally miraculous. At the base of a tremendous ice glacier, the sustainable project will by sympathetic to its community while pushing the boundaries of science. The Svart, when completed, will be the world’s first ‘positive energy’ hotel in that is should, technically, cost the Earth nothing. On top of its miraculous energy generation stratgy, the hotel will consume 85 percent less energy than a traditional hotel. The hotel will be built in the Norwegian region of Salten, and will glow by night like an extra terrestrial that has landed on the open ocean. 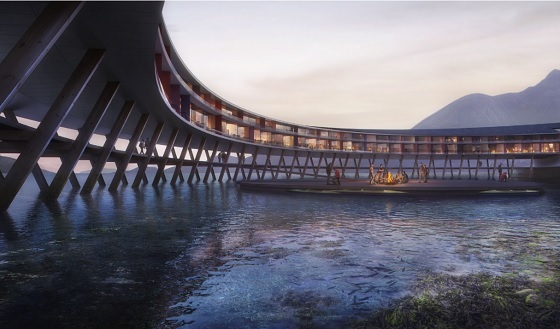 A complete circle, the structural feat is as impressive on the eye as it is on paper and will have an upper and lower deck; the lower for boarding canoes and leaving the hotel for ice climbing and hiking, and the upper for living quarters. The eponymous ‘svart’ is the local name given the dark blue ice that forms the Svartisen glacer, which can be seen from the windows. 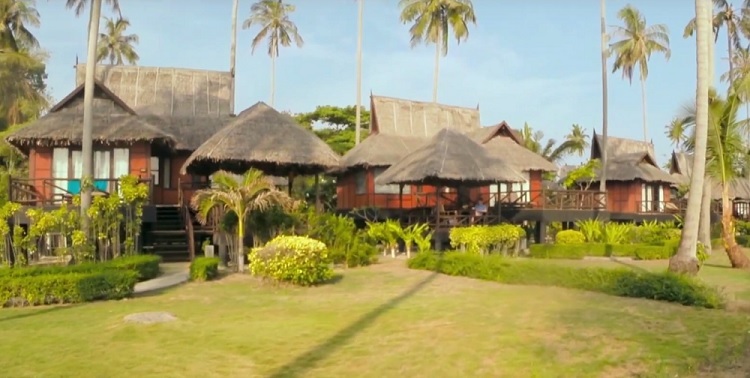 The hotel is built using local wood, inspired by the houses built by local fishermen and used to dry fish for local dishes. The project is a collaboration between designers Snøhetta, Arctic Adventure of Norway, and Powerhouse energy. Snøhetta said in a statement: “Building in such a precious environment comes with some clear obligations in terms of preserving the natural beauty and the fauna and flora of the site. It was important for us to design a sustainable building that will leave a minimal environmental footprint on this beautiful Northern nature”. 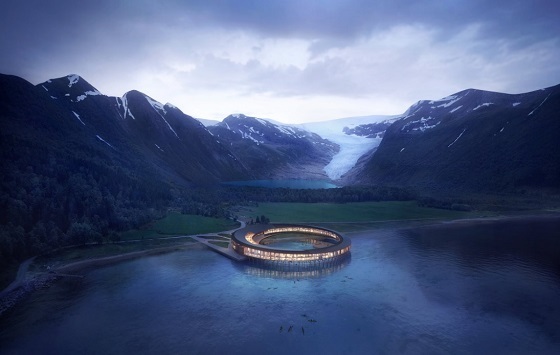 “Building an energy positive and low-impact hotel is an essential factor to create a sustainable tourist destination respecting the unique features of the plot; the rare plant species, the clean waters and the blue ice of the Svartisen glacier, says Founding Partner at Snøhetta, Kjetil Trædal Thorsen”. The Pig hotel group are expanding their litter from five to eight with the opening of three new properties. The £30M expansion will see the group of boutique, quintessentially British hotels spread further into the British heartlands of Kent, West Sussex and Cornwall. The hotel group have explained how they will upkeep the brand’s message of rustic, rural sophistication at their new destinations. For example, the fixtures and fittings will favour natural interior tones, to compliment the British countryside, so expect plenty of reclaimed wooden paneling. The ‘shabby chic’ interiors at each new property are homegrown. 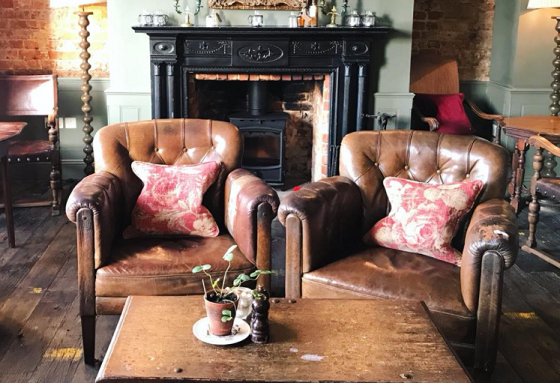 They’re the work of interior designer Judy Hutson, the wife of Robin Hutson, the chief executive of the Home Grown Hotels group who own The Pig. The Pig at Bridge Place, in the village of Bridge near Canterbury in Kent, will be the first of the new Pigs to launch in autumn 2018. The homely-feel hotel will inhabit a Grade 11 listed 17th Century manor house first built in 1638. The building, which was a live music venue for 50 years, retains many of its original fixtures and fittings including Jacobean panelling. Alongside the bedrooms in the historic house, there’ll be cosy ‘hop pickers huts’, with wood burning stoves, made from foraged and reclaimed materials. The second and third hotels – in Arundel and Padstow – are due to open in 2019. Both hotels will also assume Grade 11 listed buildings, which will be lightly modernised but also celebrate the histories of the local area. In 2011 the hotel group acquired financial backing from businessman Jim Ratcliffe, of international chemical company Ineos, who continues to support the hotel’s growth. Robin Hutson and his business partner Gerard Basset founded the Hotel du Vin group in 1994, but sold it a decade later. Hutson went on to launch The Pig group of hotels seven years ago. Guests have fallen for the historic and stately destinations – which are currently in Devon, Dorset, New Forest, Hampshire and Somerset – because of their gently British theme, and their excellent on-site restaurants, which only cook and serve food caught or foraged from within 25 miles of the hotel, to leave a sustainable footprint and support their local communities. Mode:Green has quickly become the trusted leader in providing integrated solutions to today’s top hotels. 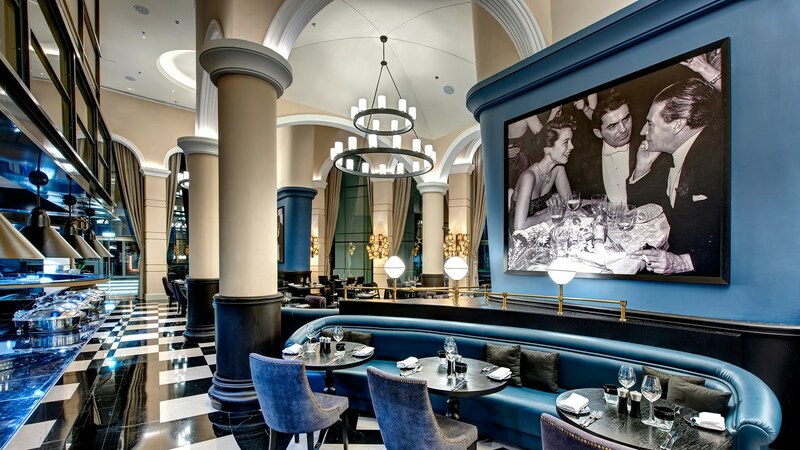 Landmarks like The New York Palace, and the flagship St. Regis New York have both undergone major renovations with Mode:Green at the forefront of technology integration. 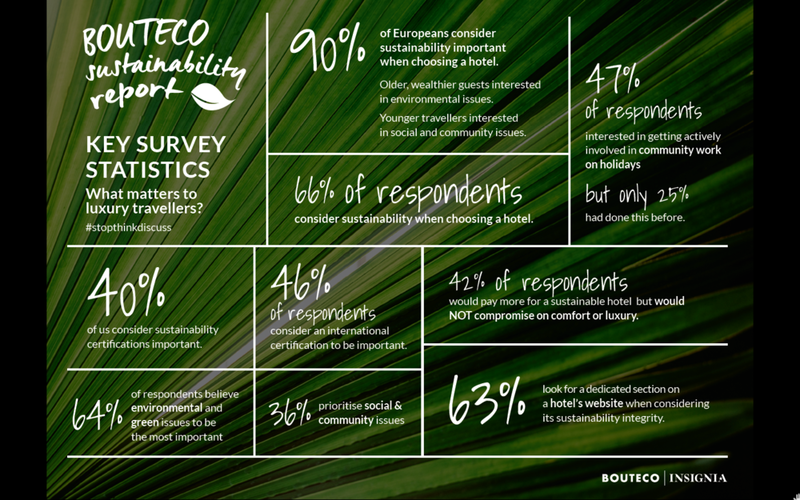 Social enterprise Bouteco has released their first ever global trends report ‘Stop, Think, Discuss’, offering an industry overview on sustainability for stylish hotels in the boutique-hotel sector. 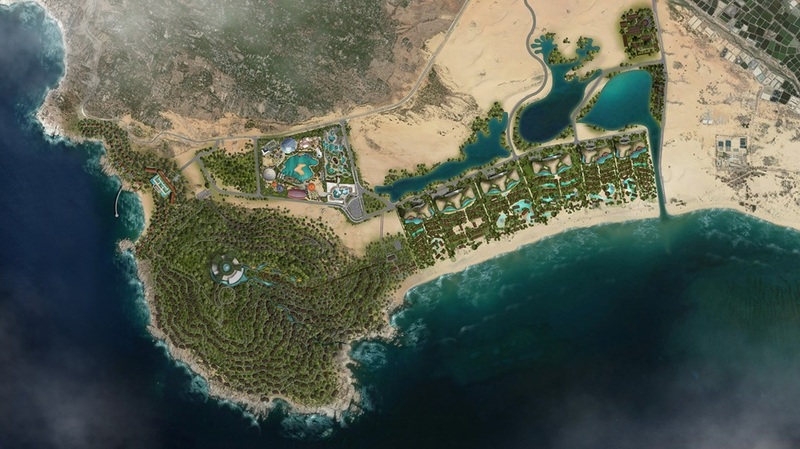 Chapman Taylor is pleased to report that the 1,100,000m² master plan design for the Mui Dinh Eco-Resort in Vietnam has received approval from the Vietnamese government. Set on a beautiful site on the east coast of Vietnam, Mui Dinh Eco-Resort is designed to reflect the key elements of the surrounding environment – sand, sea, salt and sun. Intended as an unrivalled hospitality-led mixed-use development in Asia, the development is inspired by the rich local history of Mui Dinh, particularly that of the Cham tribal culture and architecture as well as the lost world of the last dynasty. Six resort hotels and a boutique hotel provide a total of 7,000 rooms. 500 ocean-facing villas are also available, with all residents served by a leisure offering including a theme park, a casino, a beach club and a mountain clubhouse. Chapman Taylor’s Bangkok studio is responsible for the design master plan for this striking coastal resort. Qorokwe Camp, a new Wilderness Safaris Classic Camp due to open in the private, wildlife-rich 26,180-hectare (64,692-acre) Qorokwe Concession in Botswana in December 2017, will offer the perfect blend of luxury eco-chic within a beautiful Okavango Delta setting. Designed by lead architect, Joy Brasler and interior designer, Michelle Throssell, Qorokwe Camp is situated along the banks of a beautiful kidney-shaped lagoon. The nine elegant tented suites, one of which is a spacious family suite with its own splash pool, and the main area, which comprises a dining area, lounge, library, bar and infinity swimming pool, are built on raised decked platforms (about two metres/six feet off the ground). This not only provides spectacular views of the lagoon and surrounding bushveld, but also enables the vegetation to thrive underneath the suites – a unique environmental advantage as most rooms create ‘dead’ space beneath. 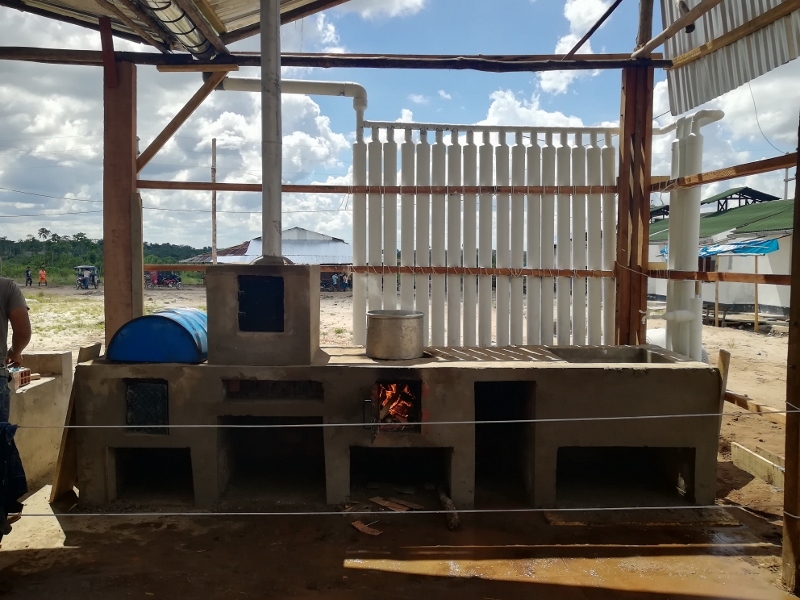 According to Joy Brasler, materials chosen to build the camp include steel frames with infill panels to insulate against heat and cold, canvas and timber decks. Detailed timber ceilings are perforated with light to mimic the experience of being beneath the trees at the side of the lagoon so that the entire camp experience blends in with its beautiful natural surroundings. “The language of the infrastructure is seen as an elemental and contemporary response to an insertion in this landscape – the interiors are a response to the colours and activities of Africa, with the emotive use of materials, colour and form,” she said. Michelle Throssel reiterated that their combined inspiration came from the natural setting, stating that the palette of colours and materials was motivated by the Botswana landscape, resulting in a rich mix of bleached timbers, darker stains and accents of rust and burnt orange. “By introducing a combination of organic shapes and textural diversity from live-edged timber to steel and canvas, we have created a warm, enveloping space providing comfort and luxury in an understated way,” Michelle added. Owned by the Maun-based Calitz family, the Qorokwe (meaning “the place where the buffalo broke through the bush into the water”) Concession is a spectacular and highly productive mix of fertile Okavango habitats. Qorokwe’s diverse landscape includes scattered acacia and mopane woodlands, open seasonal and permanent floodplains and is fringed on either side by the picturesque channels and islands along the Gomoti and Santantadibe Channels. Guests can explore the exclusive concession on day and night game drives and nature walks led by highly-skilled guides, as well as enjoy mokoro and boating activities, depending on the water levels. “We are thrilled to be partnering with the Calitz family to reveal this exclusive new land-based camp and private concession – a highly-productive game-viewing area that has been unutilised for the past four years. The beauty of the landscape and our experiences in the Qorokwe Concession to date are such that we know our guests can look forward to exceptional wildlife experiences, in addition to a world-class and original camp offering,” said Kim Nixon, Wilderness Safaris Botswana MD. 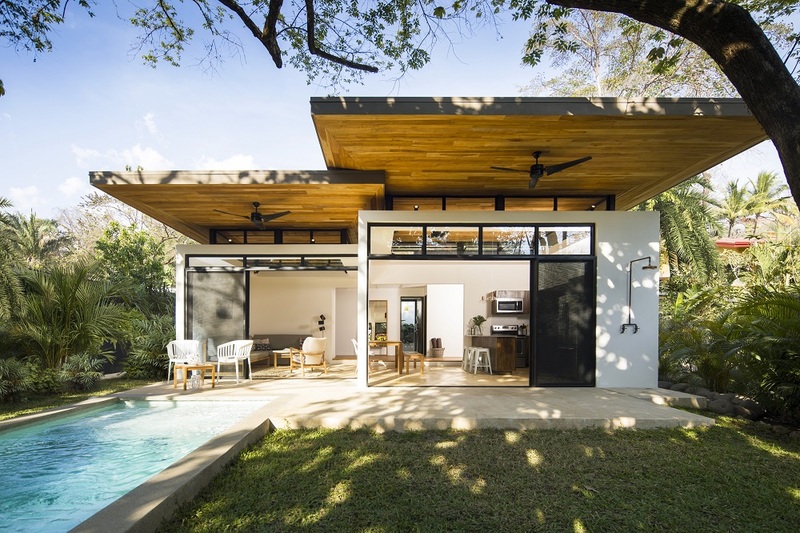 A young, up-and-coming architecture firm – Studio Saxe – has completed a boutique hotel and yoga studio set into the tropical landscape of Nosara, Costa Rica. 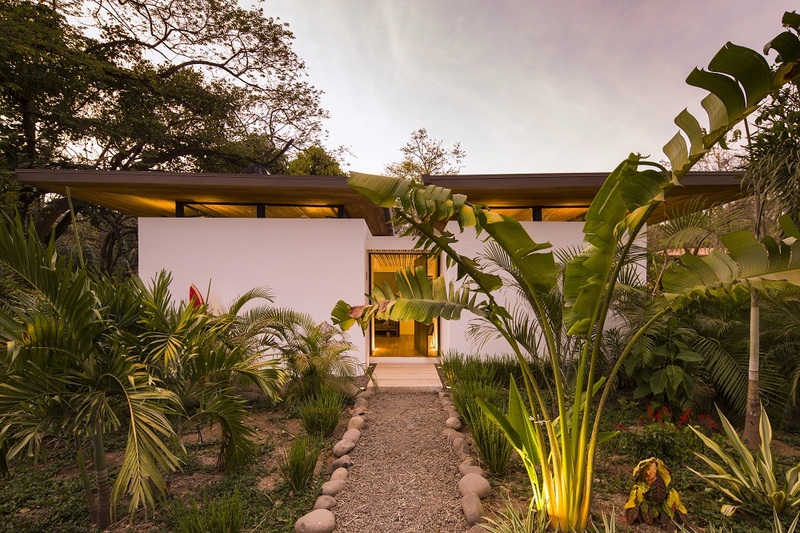 The project is another in a long line of sustainable buildings from a practice that blends contemporary design with local craftsmanship, embracing the natural environment that surrounds and frames the architecture. 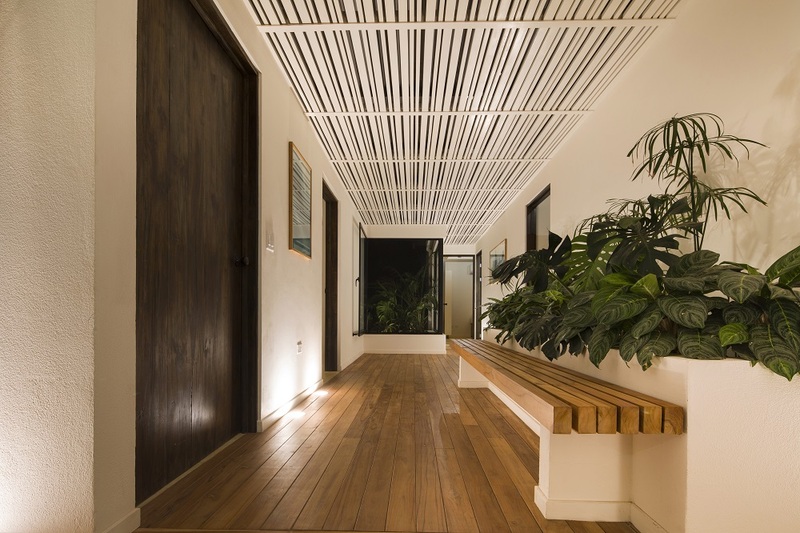 Nosara has become a destination for visitors from around the world for health, wellness and surfing and so the owners of Hotel Nalu-Nosara, Nomel and Mariya Libid, wanted a design that reflected the attitude of their guests. The yoga studio, which has also become incredibly popular as a multipurpose gym space, is enveloped by lush vegetation on all sides and therefore becomes a jungle retreat for exercise and relaxation. 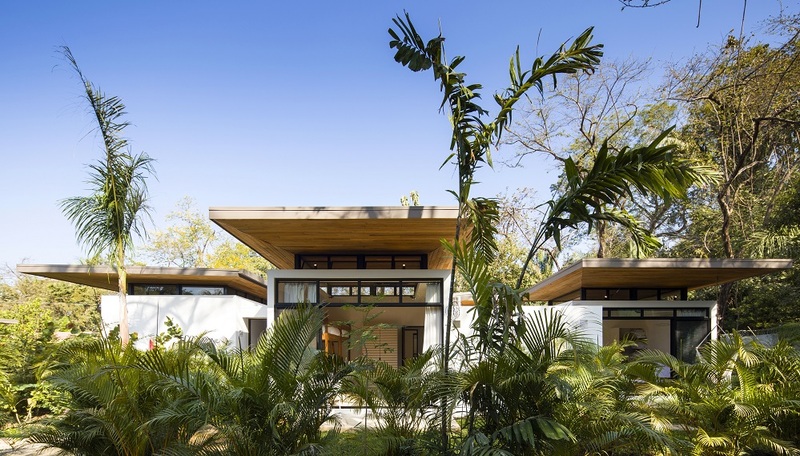 Overlapping timber roofs project out over each pavilion providing shade from the intense equatorial sun. 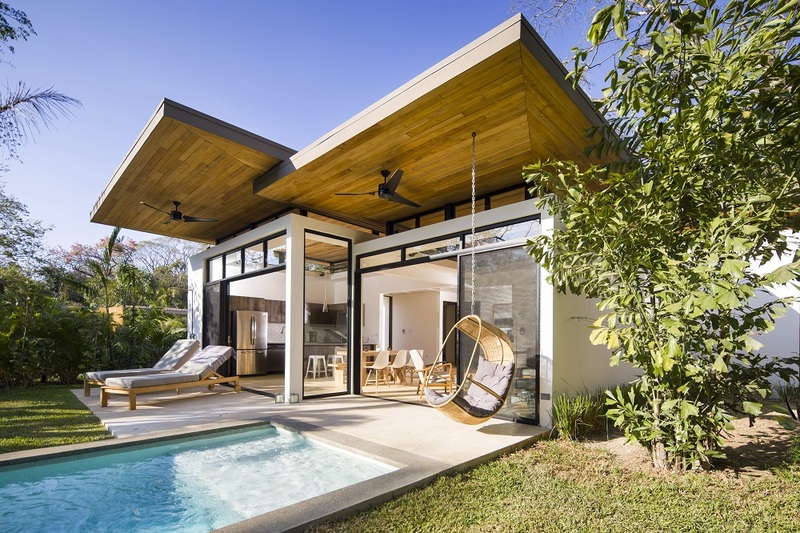 These roofs are made of recycled teak planks, creating uneven patterns that further emphasise this fusion of local craftsmanship and modern design. 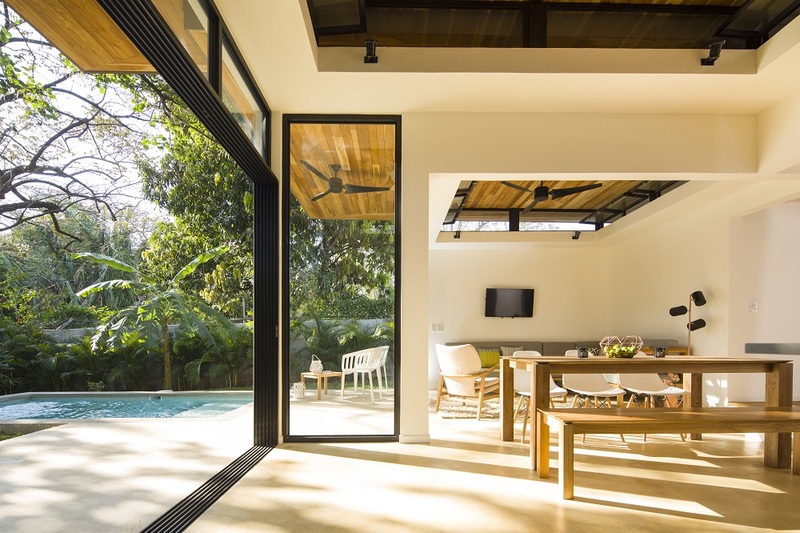 Rooms are connected via corridors that filter dappled sunlight down from the pergola roofs above and frame more views out the lush surroundings. 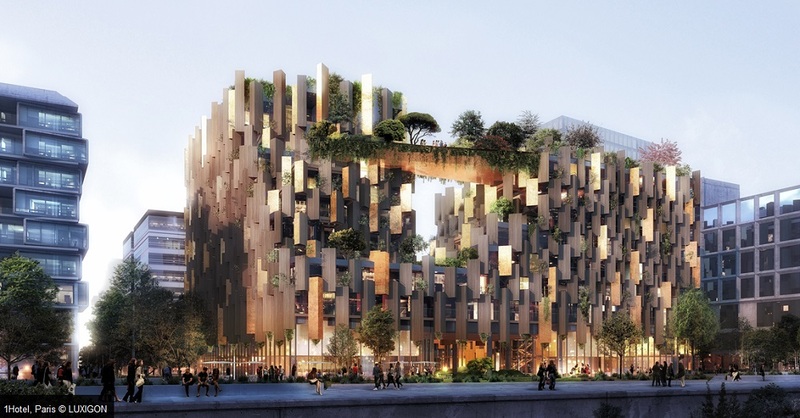 Kengo Kuma is planning a Parisian project which hopes to incorporate sustainability and hospitality design into an ‘innovative eco-luxury hotel’ which will ultimately serve as a landmark, as well as a popular destination. The building, which will be called ‘1hotel Paris’ will be bedecked with greenery, becoming what the firm is calling a ‘green lung’ for the neighbourhood. Wooden façade panels will overlap and be arranged in a certain way to blur the shape of the structure. The centre of the hotel will be open, with inner rooms with private balconies overlooking a series of gardens below. 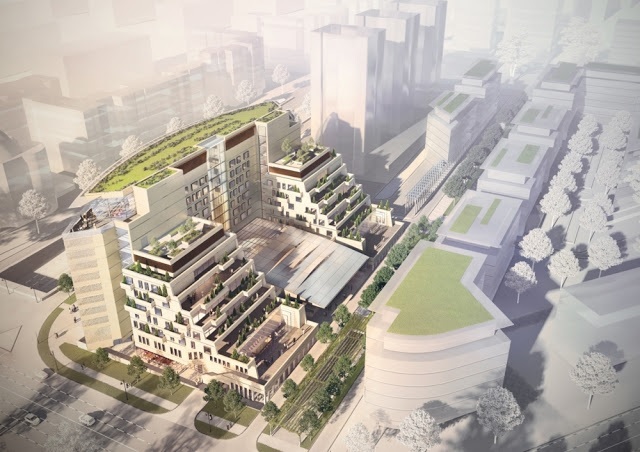 On the roof, the hotel will have a rooftop terrace overlooking the bustling neighbourhood. The project is scheduled to be completed by 2022. The Global Destination Sustainability Index (GDS-Index) has released their first Whitepaper – “Sustainable Destination Management Trends and Insights: A Path to a Brighter Future” at IMEX Frankfurt. The Whitepaper identifies how Destination Management Organisations and Convention Bureaus are using sustainability to drive the development and implementation of robust destination sustainability strategies. These strategies are supporting their city’s overall social, environmental and economic development agenda and enhancing competitive positioning. The report draws from analysis of 35 cities who participated in the 2016 GDS-Index benchmarking study. Through case studies and comparative data, the research – conducted by MCI Sustainability Services – highlights ten key insights on how destinations can reinforce their strategy through: leadership, financial incentives and capacity training, strong local community and supplier engagement, and effective communication about sustainability. According to MCI’s CEO Sébastien Tondeur: “Cities are the growth engines of the future, representing beacons of opportunity that carry the promise of education, employment and prosperity. The MICE industry has a critical role to play in supporting cities with the adoption of key sustainability practices. I am delighted to see how the GDS-Index is promoting a “Path to a Brighter Future” for destinations around the world”. Martin Sirk, CEO of ICCA, comments: “The GDS-Index is accelerating sustainable development via knowledge sharing of its best practices and innovations. Building on the inspiration of the programme’s Scandinavian founders, the Whitepaper collects and shares these pieces of wisdom with the ultimate goal of supporting other destinations to focus on sustainable growth”. Carina Bauer, CEO of IMEX Group, mentions that “2017 is the UN International Year of Sustainable Tourism and for this I am particularly delighted and inspired to see how this project has grown and how the participating cities are using the research for further improving their strategies and sustainability performance”. To view and download the whitepaper click here. Since the UK’s famous Eden Project opened in 2001, more than 18 million people have visited the Cornwall’s most visited attraction: a pair of striking biomes, housing an indoor rainforest as well as 1,000 varieties of Mediterranean plant. 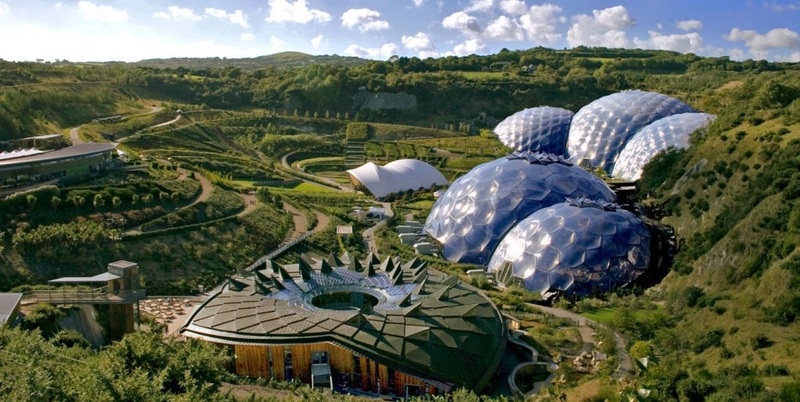 In 2015, the Eden Project, unveiled plans to construct a new 115 room hotel at its Cornwall location. 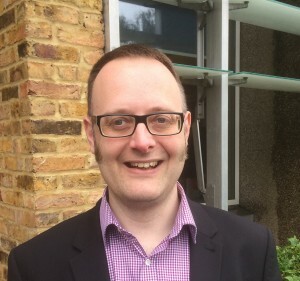 The hotel was intended to “expand the site’s offering”, according to Eden Executive Director David Harland, and planning permission was granted for the proposal in June 2015. However, revised plans for the project were recently submitted following local concern about the scale and visual impact of the hotel on the surrounding landscape. If the revised plans are approved, the new proposal will cost £8.5 million and have 109 rooms. The massing of the hotel will now be split into two blocks, providing a visual separation and decreasing the bulkiness in scale of the previous proposal. Materially it will echo natural colours and textures, using wooden poles and stone cladding to reflect the materiality of the immediate rural environment. The hotel itself will sit in a landscaped meadow and orchard, and new educational facilities will be built to accommodate the apprenticeship and degree courses that take place at the site. Once approval has been received, the construction will be slated to start in 2017 with a view to opening in April of 2018. The complex will be sustainable and energy efficient, mirroring the agenda of the complex itself. 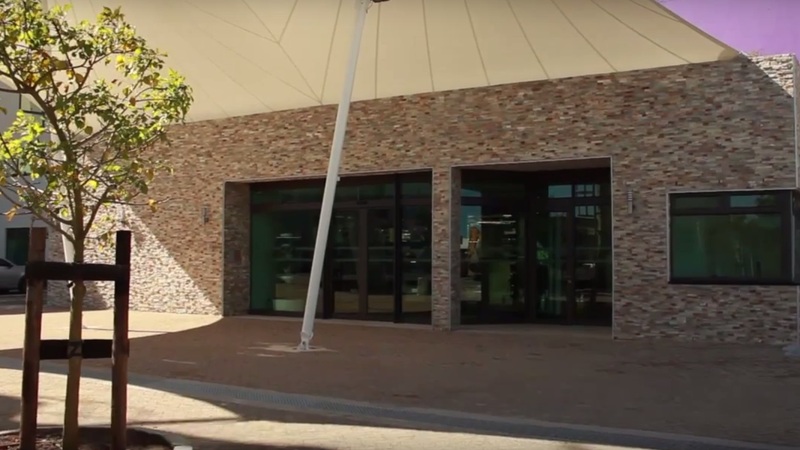 Eden already has accommodation on site in the form of a 58 room youth hostel, which opened in 2014 to accommodate school groups on trips to the site. This and more news can be found on the website of TOPHOTELPROJECTS, the specialised service provider in the exchange of cutting-edge information in the international hotel industry. 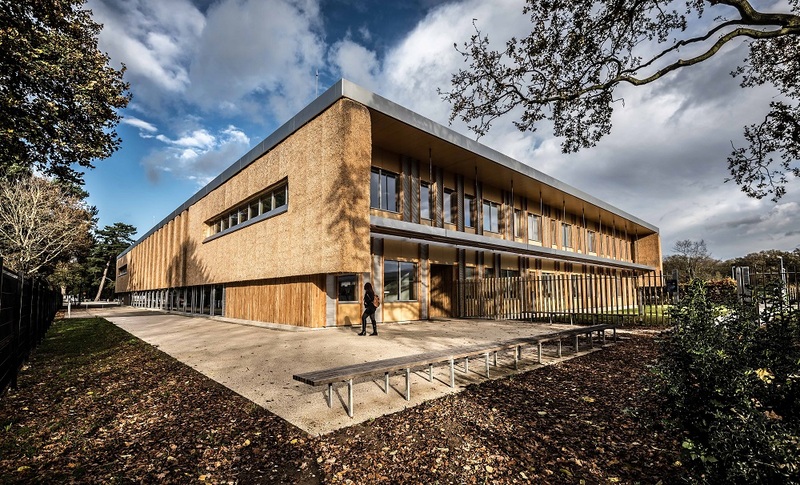 The importance of BREEAM, the internationally recognised measure of sustainability for buildings and communities, has been recognised with 7 out of the 10 projects shortlisted for the Sustainability Project of the Year category having achieved BREEAM certification. The projects span a range of sectors from hotels to offices, education to laboratories and research facilities. They are The Enterprise Centre, designed by architects Architype for client Adapt and University of East Anglia; 5 Broadgate, designed by Make architects for British Land; Centre for Medicine designed by Associated Architects for University of Leicester; Land Rover BAR HQ designed by HGP Architects; 7 Air Street, London, designed by Barr Gazetas for The Crown Estates; Penarth Learning Community by HLM architects for Vale of Glamorgan Council; and Hub by Premier Inn designed by architects Axiom. In the creation of these buildings, the projects teams have all strived to embed sustainability through innovative design and procurement. There has been a clear focus on delivering exceptional schemes that look to the future and place emphasis on the building performance and the users well-being. In many instances the way in which these projects have been delivered and their environmental impact and performance will influence the design of many other schemes. For example, the Enterprise Centre is the first building in the UK to be wrapped in thatched timber cassettes, combining traditional construction with modern techniques whilst 5 Broadgate features a super-insulated primary solid envelope that helps to reduce solar heat gain and helps the building to be almost 50% more energy efficient than the requirements of Part L of the Building Regulations. Elsewhere, 7 Air Street has demonstrated how a 1920’s office building can be refurbished to create a modern office that will save 350 tonnes of carbon per year whilst introducing green lease tenancies designed to encourage occupants to adopt energy saving practices. With an aim to be the most sustainable sports team in the UK, Land Rover BAR have shown that through the creation of a small garden on their site, ecology can be integrated into a project. The garden is now home to 69 new species, compared to eight prior to the development of the building. The Building Awards are being held on the 8th November at the Grosvenor House, London. 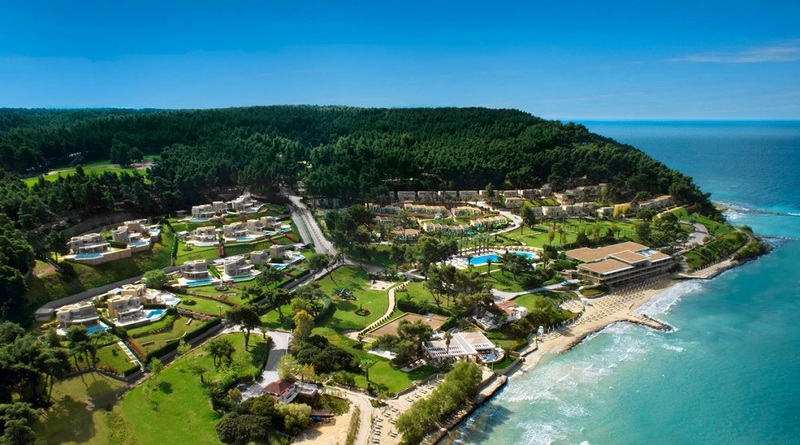 Sani Resort, the five-star resort and ecological reserve in Halkidiki, is expanding its choice of suites and rooms with a brand new adult-friendly hotel, Sani Dunes, set to open at the end of June 2017. This chic new destination will offer a private beach, indoor and outdoor heated pools, an exclusive spa with six private treatment rooms, including a couple’s suite with private steam bath, a special Thai massage cabin, fitness studio and gourmet restaurants. 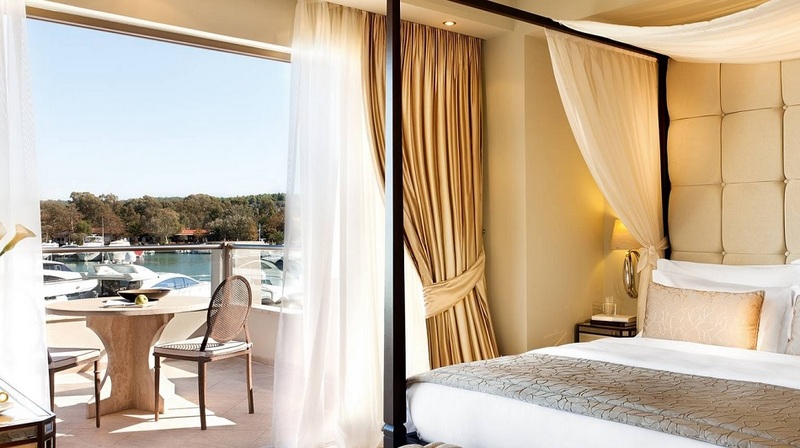 Low-rise contemporary accommodation will comprise 80 exceptionally spacious Junior Suites and Panorama Junior Suites, as well as 56 Double and Family Rooms, all furnished with stylish, handcrafted Mediterranean touches. 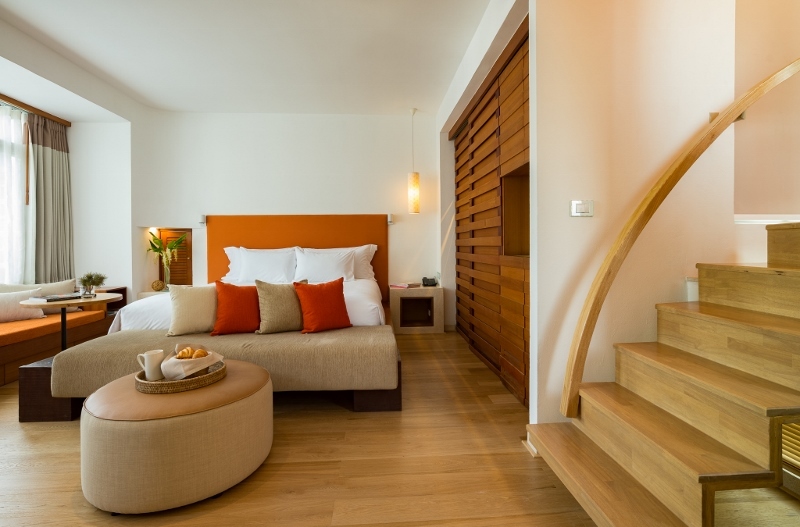 Several suites will offer beautifully appointed terraces, balconies or private gardens. News has emerged this week that a colony of honey bees have checked in on the rooftop of Edinburgh’s luxury hotel The Balmoral in a bid to produce home-grown honey for guests to enjoy at mealtimes in the luxury boutique. 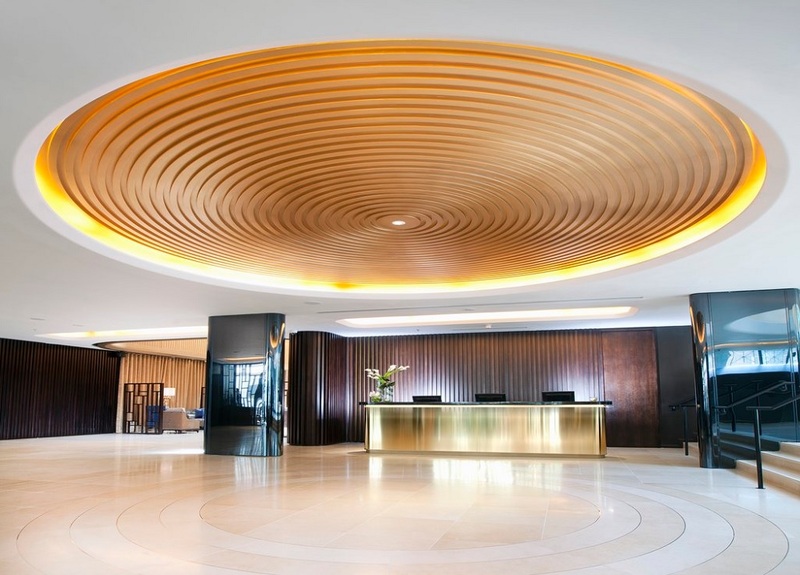 It follows the work being carried out at London Hilton Bankside with jewellery designer Alex Monroe. A similar concept is also taking off across the Atlantic at the Admiral Hotel in Mobile, Alabama. Under the leadership of General Manager Joe Langford, the idea to harvest honey in-house is proving a popular one with staff and guests. According to local media, in addition to producing the honey, the bees help pollinate a small garden of produce, used for special recipes in the Admiral’s kitchen. Currently Spencer grows watermelon, peas, cabbage, okra, peas and tomatoes in the small patches of soil. With the UK and further afield being hit by a decline in bee populations, these sort of concepts are vital. Bees pollinate a third of everything we eat and play a vital role in sustaining the planet’s ecosystems. More than 80% of crops grown for human consumption need bees to pollinate them to increase their yields. Much kudos to The Balmoral and the Admiral for their campaigns. 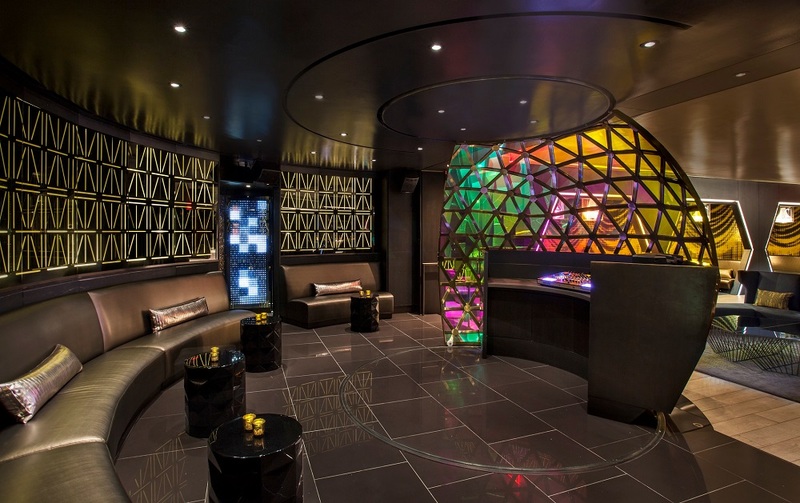 We love this sort of project here at Hotel Designs. Phil Foster, Managing Director of Love Energy Savings has shared his thoughts on the future of solar power and what this may mean for smaller hotels. 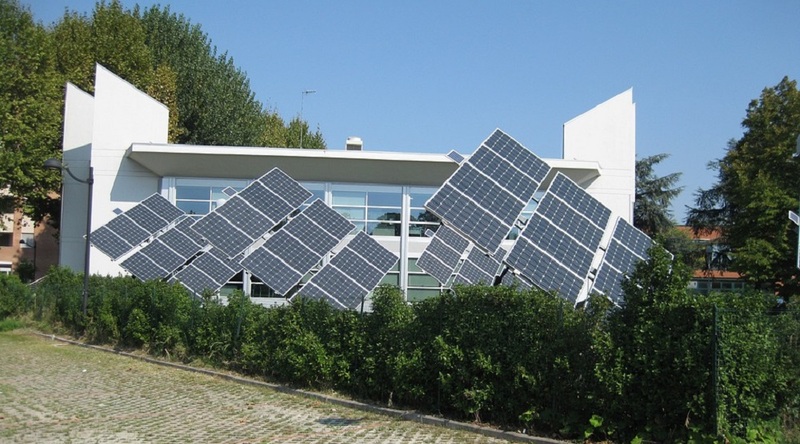 What about solar panels for independent hotels? Phil Gilbert, Head of Business Solutions at E.ON, told us: “Energy costs can have a significant impact on a business’ bottom line, and generating your own power can put control firmly into your own hands. Cutting down waste, using smart technology to manage buildings and possibly generating your own power are all options to consider. Annabelle Bean from Romag, says that the benefits of solar energy to SMEs can really go far beyond saving money: “Nothing will position your company as an environmentally-conscious brand more than investing in renewable energy for your business. 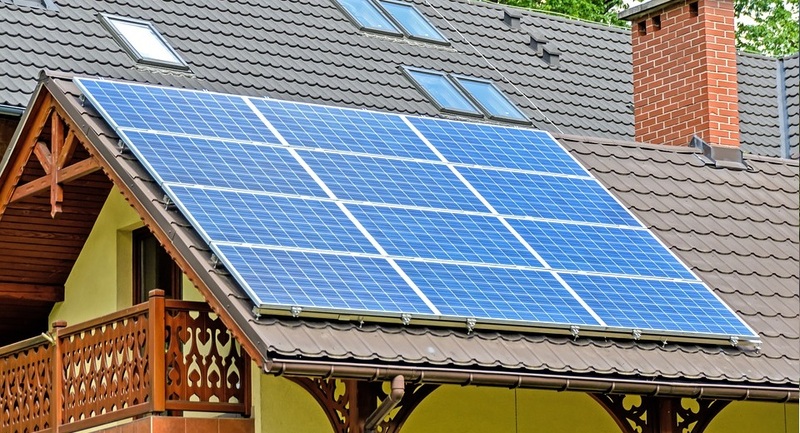 Not only will you be able to have the peace of mind that you are using green energy, but the fact that you are doing so provides a great PR opportunity. 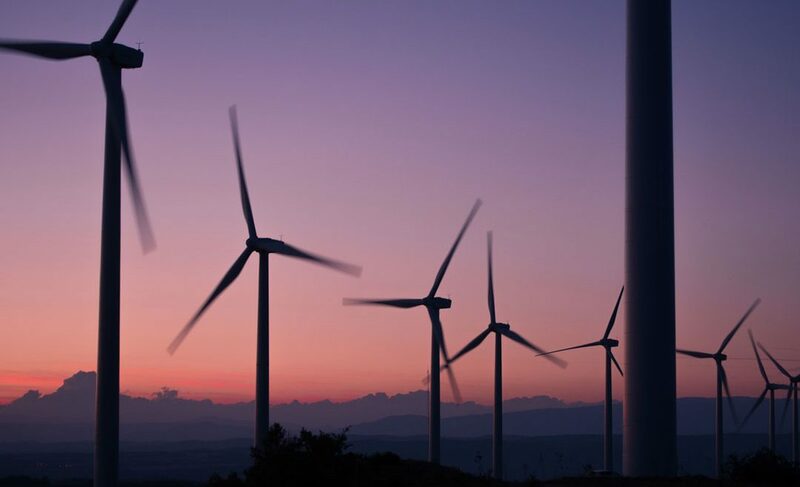 By cutting your dependence on electricity generated from burning gas, coal and oil, and instead turning to renewable forms of energy, you will be helping to drastically reduce your business’ carbon footprint. Phil Foster commented: “There are so many small things that businesses can do to cut their carbon footprint, but solar panels are a huge step forward towards our goal of slashing emissions. Here at Love Energy Savings, we want to see the technology developing further and becoming more readily available both to domestic and business customers. 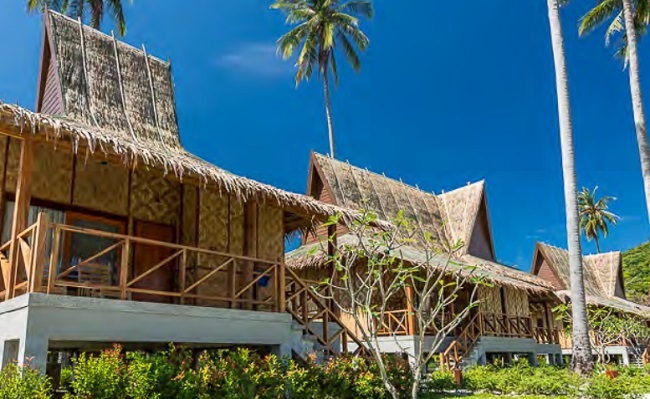 Five-star luxury and sustainability have been seamlessly integrated at Hurawalhi Island Resort – a combination worthy of making any environmentally-aware urban dweller green with envy. 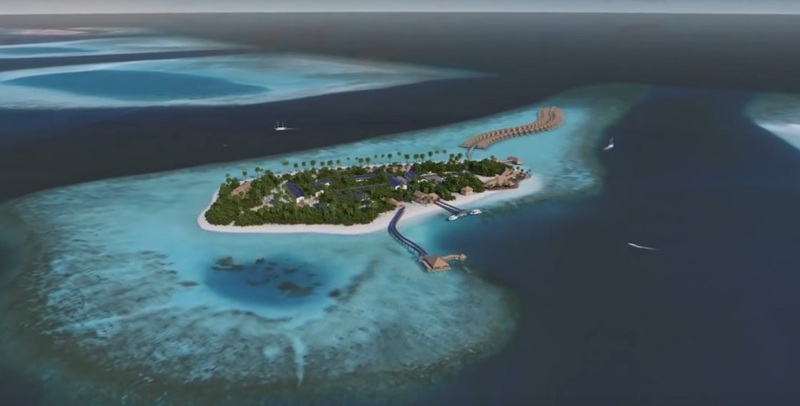 In a fragile environment like the Maldives, eco-conscious operations should be the norm and this brand new island has gone the extra mile to put as much back into its surroundings as it takes out. 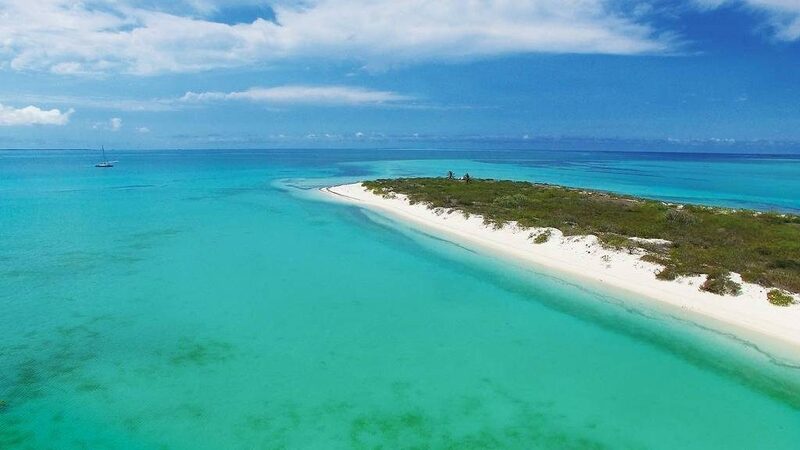 With 60% of the island powered by solar energy, there is also a water bottling plant to substantially reduce the island’s plastic consumption, a food recycling programme and a collection of local greenhouses producing fresh produce for guests. Together these innovative elements ensure that protecting the natural environment is as high a priority as the comfort Hurawalhi provides. The company behind Hurawalhi, Crown & Champa Resorts, wanted to make the destination as environmentally sustainable as possible. At every step of the development process reducing the project’s carbon footprint was a key consideration. In what they have achieved at Hurawalhi, Crown & Champa has proved it’s possible to care for the environment without sacrificing elegance, luxury and a highly personalised approach to service. 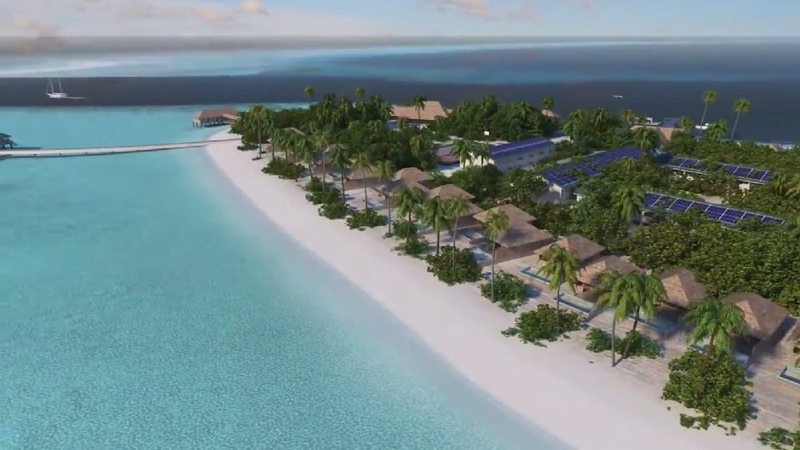 Once finished, the island will boast 4,243m² of solar panels – approximately the size of 26 volleyball courts! Crucially, this technology has been seamlessly integrated into the resort’s architecture by New York-based architect, Yuji Yamazaki, who has successfully turned power generation into a stylish design feature. The panels are state of the art in design and are a far cry from earlier units; the panels at Hurawalhi sport a futuristic-looking appearance which contributes to the contemporary ambience. Rather than clashing with the environment, they make a welcome addition to Hurawalhi’s chic appearance. Another step Hurawalhi has taken in order to minimise its environmental footprint is to monitor the island’s food supply and production. Owen Ealden, the island’s Food and Beverage Director, is a strong advocate of healthy and sustainable living and summarises Hurawalhi’s theme of eco-consciousness in a single sentence, ‘We want to focus on three areas: healthy people, healthy planet and healthy local communities.’ Hurawalhi has its own water bottling plant, reducing the plastic consumption of the island by using only glass bottles supplied by nearby sister island Kuredu and all restaurants only offer organic and biodynamic produce, allowing guests to enjoy wholesome and good nutrition, which is not only healthy, but also beneficial to the environment. Food waste is processed into fertilizers to use in Hurawalhi’s greenhouse, a process powered entirely by solar energy. 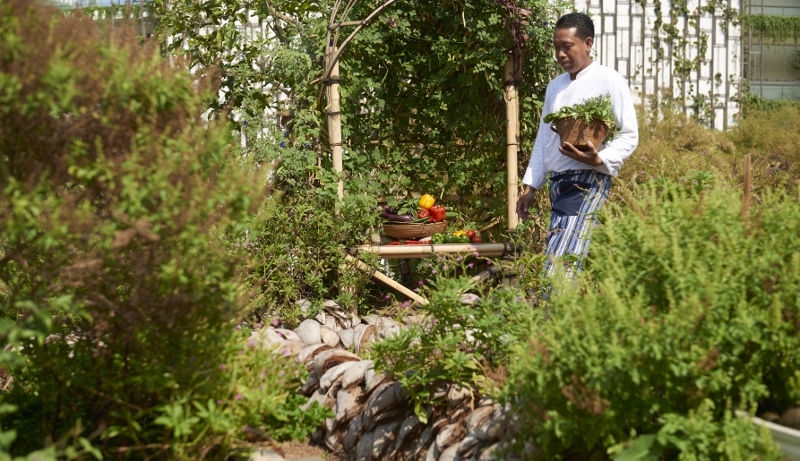 The resort also strives for maximum food transparency and thoughtfully sourced produce, favouring local suppliers whenever possible, which gives guests a chance to sample something new. Hurawalhi has a desalination system which filters sea-water and turns it into clean water for drinking and cooking, as well as to supply the luxurious rainfall showers in the villas. Efficient waste management systems ensure water waste is recycled wherever possible. All of these green initiatives demonstrate Hurawalhi’s high regard for the environment. Amongst its many other eco-projects, Hurawalhi, which is surrounded by some of the best dive sites and marine life encounters in the world, has teamed up with Wise Oceans to support marine conservation and the continued research of the local Manta ray population and is dedicated to maintaining the stunning local reefs. Investors and owners of large commercial property portfolios throughout Europe are constantly on the hunt for a distinctive edge that will set them aside from the competition. The never-ending battle for an increase in rental yield, lower management costs, fully leased properties and happy tenants is something that we are all too familiar with. Couple that with some of the wider global challenges on-going presently and you can see that how it would be easy for a property fund or asset manager to lose a little sleep at night. Luckily for them, there are some new techniques and tactics being adopted by the most forward thinking property companies that are helping them maintain their commercial advantage. Citycon Oyj, based in Helsinki, has recently launched a project to introduce BREEAM In-Use (BIU) certification to 75% of its properties by 2017. As the leading owner, developer and manager of urban grocery-anchored shopping centres in the Nordic and Baltic regions, Citycon clearly see BREEAM In-Use certification as a cost-effective way to manage their EUR 5 billion portfolio. According to Nils Styf, Citycon’s Chief Investment Officer, BREEAM In-Use certificates provide Citycon with a comprehensive overview of the environmental performance of their portfolio and a useful platform to identify improvements. As a result of their recent environmental focus, Citycon have reduced their reliance on purchased heating energy by an impressive 30% in 2015 for one Centre by using renewable energy. Of course, this also positively benefits their carbon footprint too. Definitely a cost and carbon win-win and of course, these benefits can be realised in many more of their properties over time. Interestingly it is not only private commercial organisations that are seeing the opportunity presented by using BREEAM certification. The methodology has also been widely adopted recently by the City of Stockholm. 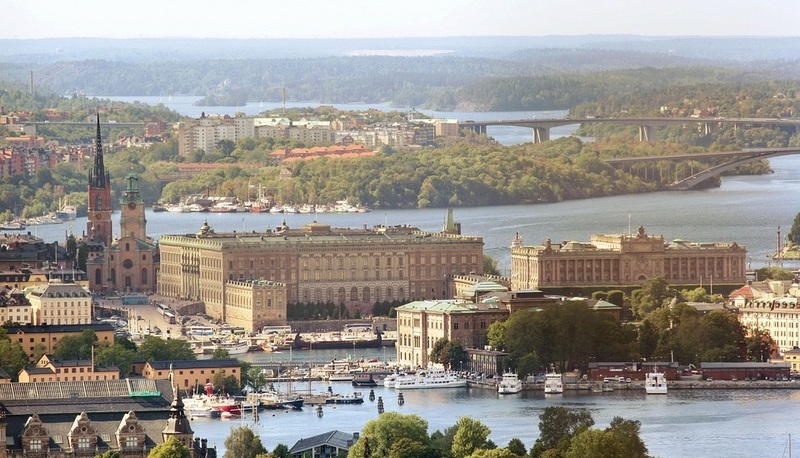 Stockholms stad, the public sector administration that is responsible for managing the majestic Swedish capital, is fully adopting BREEAM In-Use as part of its asset management strategy. As part of their commitment, Stockholm is also taking part in a new pilot project aimed at creating a more cost-effective volume assessment route for BREEAM IN-Use across its portfolio. Focusing on a parcel of 50 public buildings, the objective is to establish a cost-effective methodology for certifying and maintaining certification of asset portfolios against BREEAM In-Use International 2015. The pilot project will look at the type of evidence common to a large asset portfolio and how it can be supplied, collected and verified in order to minimise the need for additional site visits. Working to pre-defined criteria, it will focus on ascertaining the type of evidence that applies to buildings with similar characteristics or properties – asset clusters – and on establishing whether an assessor can review this evidence and accept it as applicable to all. The project is a partnership between BRE Global (BREEAM), the Real Estate Administration of Stockholms Stad, engineering consulting firm PQR Consult AB and BREEAM In-Use assessor Piacon AB. Taking place over a one year period, the process will inform future years of the BREEAM In-Use recertification cycle. To date, the City has 100 of its buildings assessed or in progress under BREEAM In-Use in total. It’s also worth noting that these assets represent a broad spectrum of architectural styles, building ages, uses and building services designs. In fact, even the historic (and world famous) City Hall building where the Nobel prize-giving ceremony takes place each year has also been assessed. 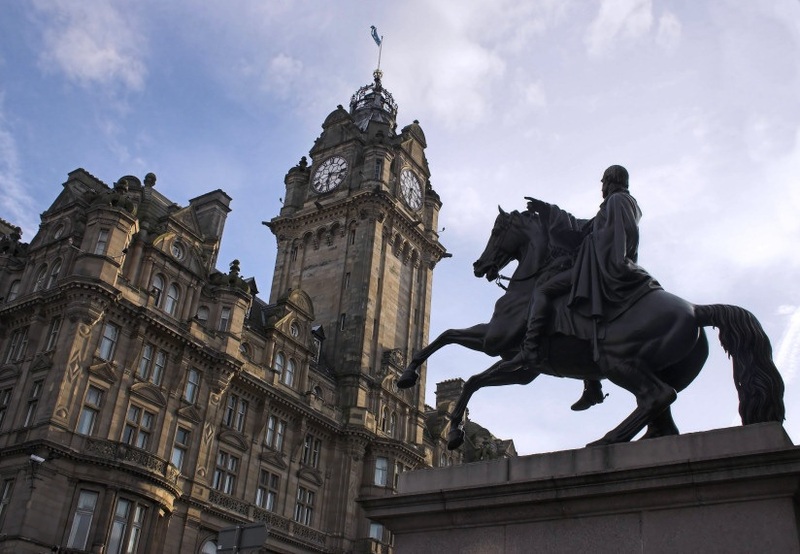 If the method can help to improve the sustainability of such a prestigious landmark building, then it can definitely work for across more modern assets too. The fact that both commercial and public sector property owners are now choosing BREEAM to set them apart, only adds weight to the case for sustainability to be considered as a matter of course in everyday business. This is borne out by the findings from the recent CBRE EMEA Investor Intentions Survey 2016 explored in more detail in an article authored by Rebecca Pearce, Senior Director, EMEA Head of Sustainability for CBRE published recently by the Better Buildings Partnership. The evidence is loud and clear, the market now understands the compelling reasons to buy asset certification. In the CBRE survey just 11% of respondents now view sustainability as an insignificant factor during due diligence. Even more compelling is that 39% of the institutional investors surveyed cite sustainable asset selection as ‘critical’ or ‘one of the most important criteria’ when selecting properties to acquire. 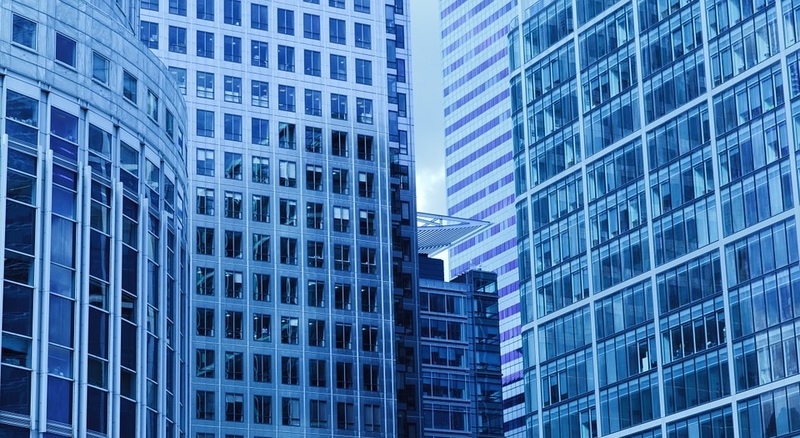 In a complicated commercial property market, at least the road ahead for asset managers is becoming clear with solutions like BREEAM providing a tangible route to create sustainable property management. After all, if Citycon and the City of Stockholm can see the benefit, there must be something in it right? London, Paris, New York – we’re ready if you are. The Tanzanian based Bakhresa Group has appointed Verde Hotels from South Africa to develop and manage the total overhaul and upgrading of the old Mtoni Marine Hotel in Zanzibar. 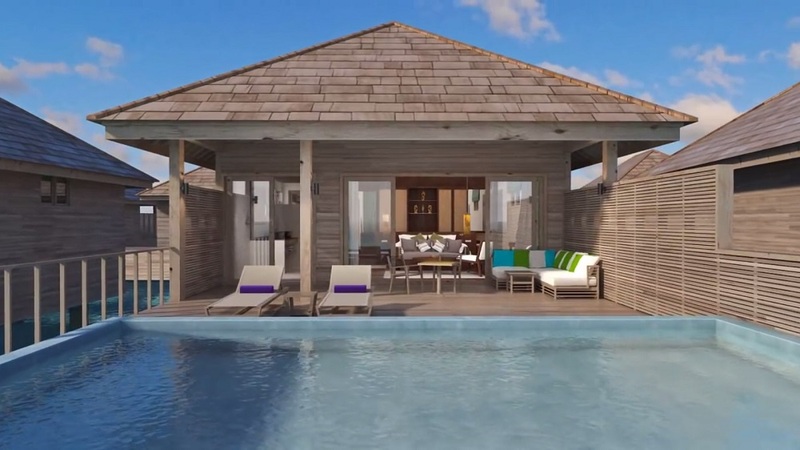 The brand new five star property will be known as Hotel Verde, and Zanzibar’s ‘greenest hotel’. “We are serious about being the leaders of the Green Economy sector and therefore we approached the developers of Africa’s greenest properties, Verde Hotels, to ensure that Hotel Verde Zanzibar will be the greenest hotel in East Africa” stated Mr. Said Salim Awadh Bakhresa, Chairman of the Bakhresa Group. 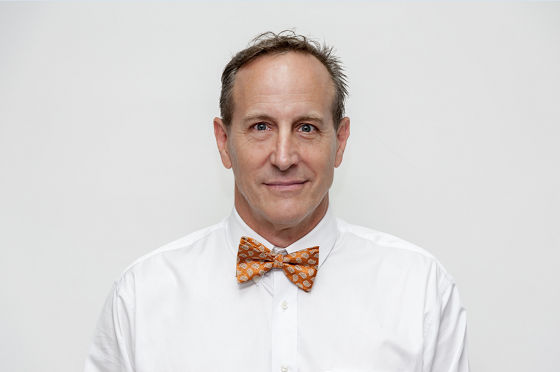 Mr. Bahkresa has commissioned the Verde Hotels Group to manage the development and operate the hotel as a certified sustainable establishment that offers a carbon neutral hotel experience. Verde Hotels will work with Estim Construction who have a strong reputation for project excellence in the East African region. 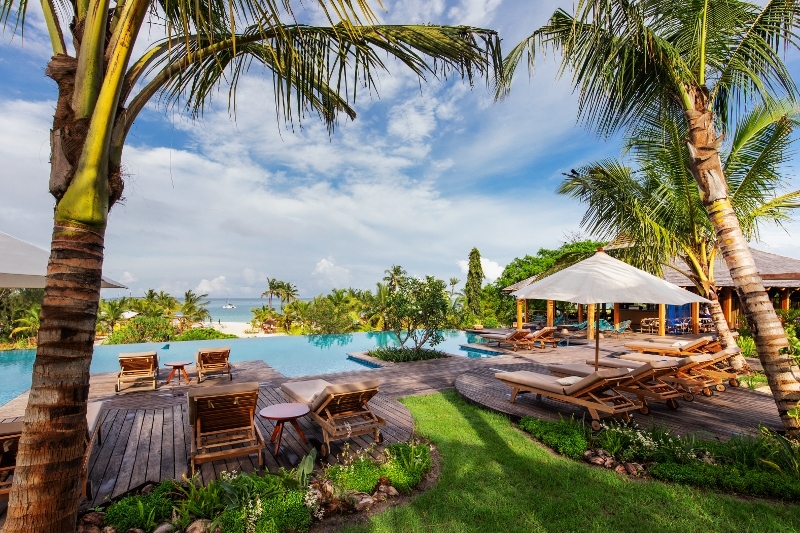 Hotel Verde Zanzibar will be pursuing independent certification, utilising the Green Star rating tool from the Green Building Council of South Africa (GBCSA). Hotel Verde Zanzibar will showcase the integration of 5 star luxury and environmental best practice. The hotel will feature 142 ultra-stylish rooms, luxury suites, a spa, gym, restaurants, entertainment and marina. The contemporary design fused with local Tanzanian elements will be an attraction for local and international guests to enjoy whilst keeping to the standards and practices of responsible tourism principals. 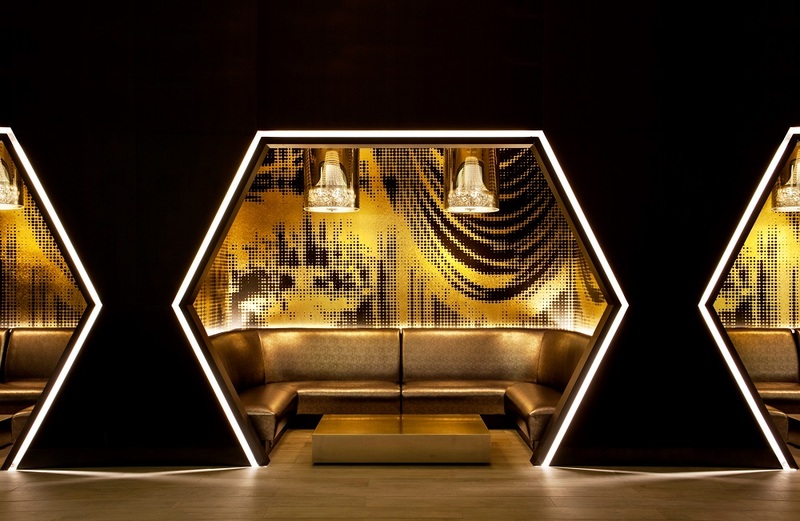 Hilton Bankside is delighted to announce a partnership with British jewellery designer Alex Monroe for the design of its newly installed beehives. The Bankside beehives are housed on the meadow garden located 4 floors up on Hilton Bankside’s large green roof terrace, aptly named ‘The Meadow’. Each of the four beehives have been designed and painted by Alex Monroe in their own individual style representing each of the four British seasons. The rooftop meadow was originally built to help reintegrate greenery into the Bankside landscape. Alongside wild flowers and a variety of plants, the beehives have been installed as part of Hilton Bankside’s proactive contribution to London’s green infrastructure. Bees are vital in the city to pollinate gardens, allotments, parks and other public areas – and to provide local honey to Londoners which can help cure hay fever symptoms during the summer months. A significant contributor to the decline of honey bees in the past few years has been the loss of flower-rich habitat on which the bees are dependent on for food. 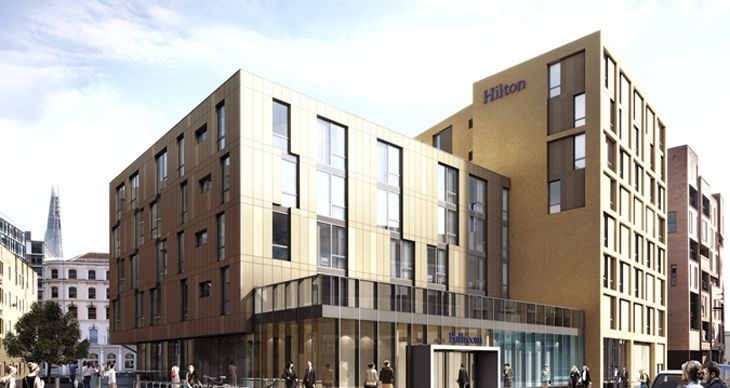 The productive use of its open spaces is part of Hilton Bankside’s campaign to help maintain a sustainable London. Once who works the bees have settled into their stylish new homes, the honey will be harvested and used by Executive Chef Paul Bates in the OXBO Bankside kitchen to launch a brand new menu in the hotel restaurant. 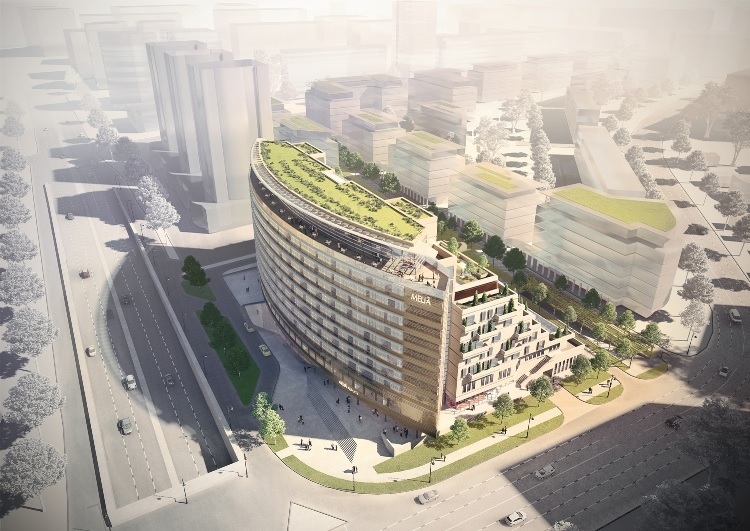 There are also plans to introduce a Bee Keeper mentoring programme for employees within Hilton Bankside. 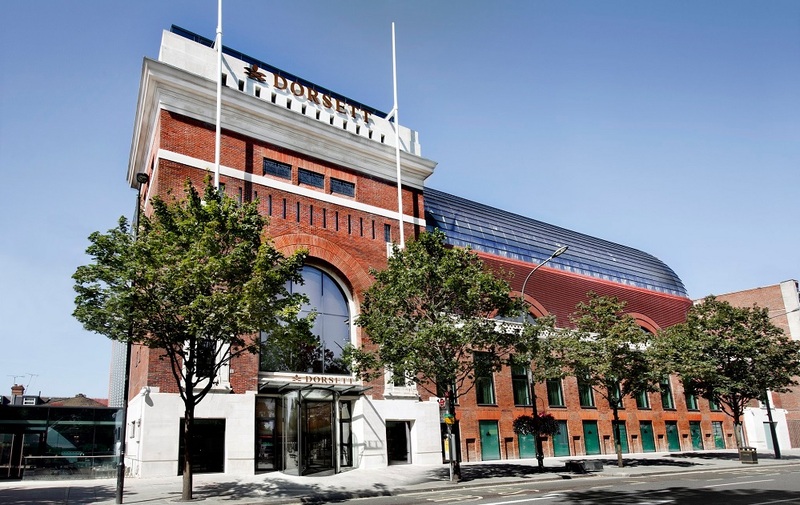 The four-star Dorsett Shepherds Bush has been rewarded for its sustained efforts in corporate social responsibility; having been awarded the Green Tourism Business Scheme Gold Award. The award – the highest honour in the scheme, which itself is the largest and most established of its type in the world – recognises the hotel’s efforts to promote sustainability and implementing cost-saving practices that help the environment while improving guest experience. With over 2,300 members throughout the UK and Ireland, and over 850 members in Scotland, the GBTS is a well-recognised award whereby businesses and organisations are assessed by a qualified grading advisor against a set of criteria; covering areas as diverse as energy and water efficiency to waste management, biodiversity, community involvement and more. Hilary Cross, the General Manager of the Dorsett Shepherds Bush Hotel commented “It is a true honour to accept the Gold Award for Green Tourism Business Scheme on the hotel’s behalf. This accolade is a rewarding acknowledgment of the hotel team’s hard work to protect and preserve our environment; as a business we believe that it is essential to be eco-minded and we look forward to furthering our green credentials in 2016”. Starwood Hotels has announced Element Hotels, its stylish eco-incubator brand, will debut in Detroit in July 2018, following an adaptive re-use project that will transform the historic Metropolitan Building into an upscale mixed-use development. 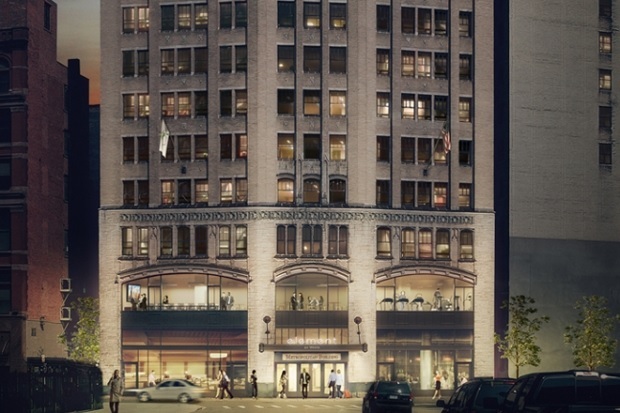 Element Detroit at the Metropolitan Building will feature 110 light-filled rooms and an atmosphere designed to ‘fuel a life in balance and on the move’. “We look forward to introducing Element to Detroit with this exciting adaptive re-use project that will retain the historic charm of the Metropolitan Building, while turning it into a sleek and stylish destination for travelers visiting the ‘Motor City,'” said Brian McGuinness, Senior Vice President of Specialty Select Brands for Starwood. The 14-storey neo-gothic Metropolitan Building was designed by the Detroit firm of Weston and Ellington and opened in 1925 as a jewellery emporium, housing diamond cutters, goldsmiths and silver workers on the upper floors and retail on the lower levels. 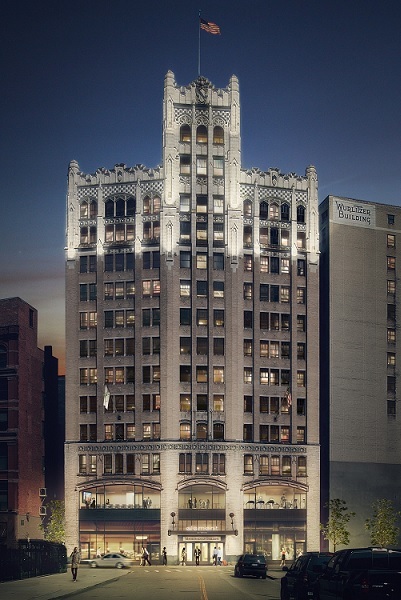 Building on the success of the recently opened Aloft Detroit at The David Whitney, the Element adaptive re-use project will include the restoration of the hotel’s exterior and a top-to-bottom renovation of the interior, while preserving elements of the Metropolitan Building’s original ornate lobby and mezzanine. The 100,000 square-foot building will feature 2,000 square feet of state-of-the-art meeting space on the second floor mezzanine level with attractive views of the city skyline, approximately 7,000 square feet of retail on the ground floor and lower level, and an outdoor patio on the 11th floor rear rooftop. 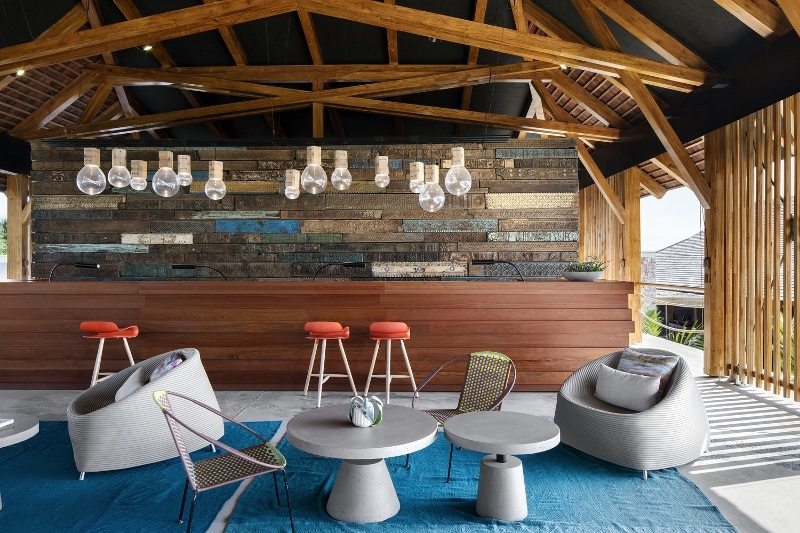 A recognised industry leader in the eco-space, Element offers travellers a fresh interpretation of the traditional hotel experience with eco-minded sensibilities. 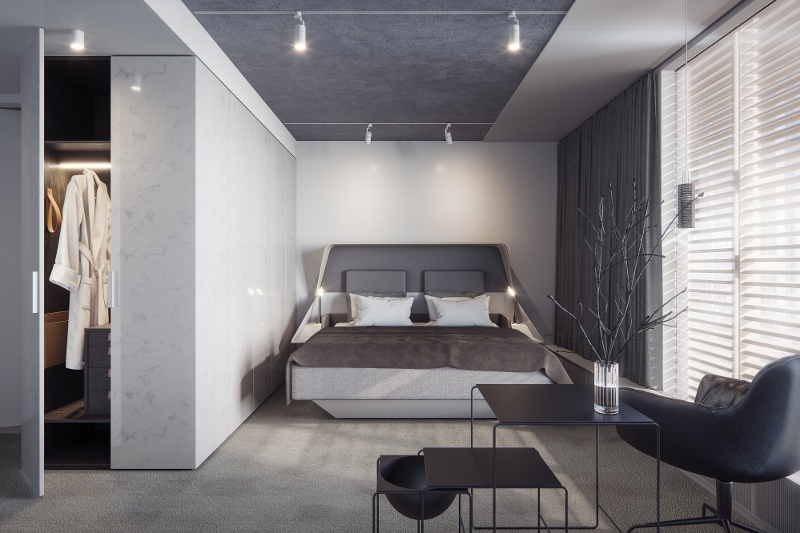 Spacious studios and one-bedroom suites at Element Detroit at the Metropolitan Building will offer a fluid design of modular furniture, fully equipped kitchens, the signature Heavenly® Bed and spa-inspired bathrooms. Element continues to grow at a phenomenal pace with hotels slated to open in numerous North American markets by the end of 2017, including Austin, Dallas, Midland, San Antonio, Fort Lauderdale, Gainesville, Moline, Redmond,Huntsville, Palmdale, Columbus, Calgary, Edmonton; as well as internationally in London, Dar es Salaam and Hebei, China. 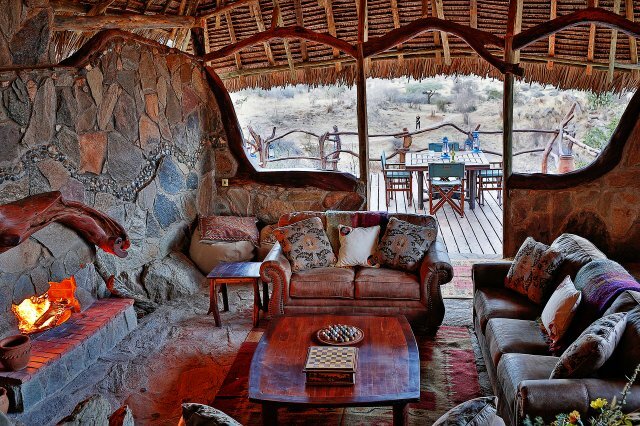 Luxury safari camp and lodge operator Elewana has opened a new luxury tented camp on the site of the former Loisaba Lodge. 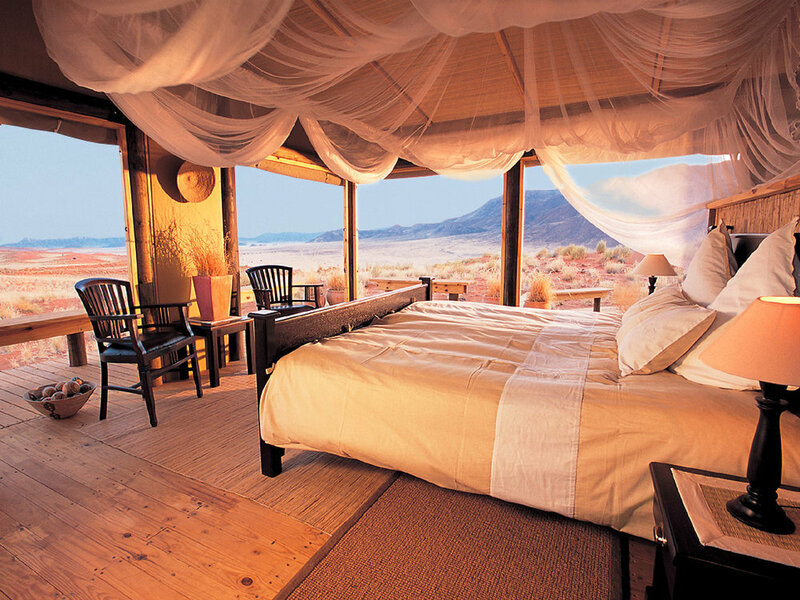 Located on a 600ft escarpment, every room in Loisaba Tented Camp enjoys spectacular views stretching across the Laikipia Plains to Mount Kenya. Elewana has been chosen by Loisaba Conservancy, with support from The Nature Conservancy (TNC), to partner with it in the development and management of its primary tourism assets in this critically important conservation area that has been recently secured by TNC for ongoing protection for the foreseeable future. 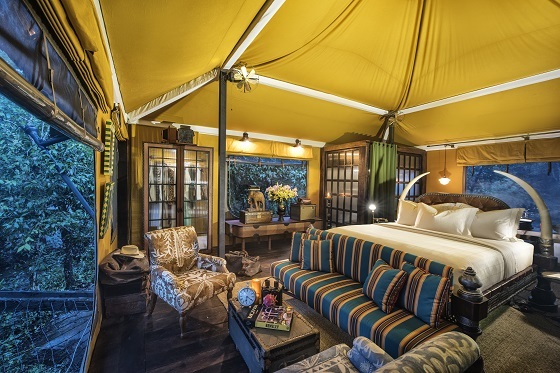 The new camp is part of the Elewana Collection – a portfolio of fifteen properties spanning the highlights of East Africa’s safari and beach offerings. 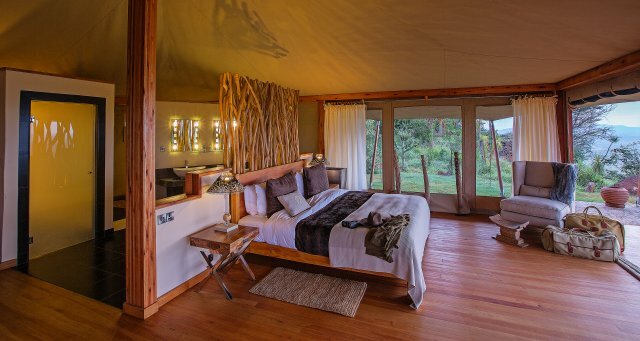 Loisaba Tented Camp comprises six stylish and extremely spacious ensuite tents (three double/three convertible twin/double), three family combinations each consisting of two ensuite tents with adjoining walkway. 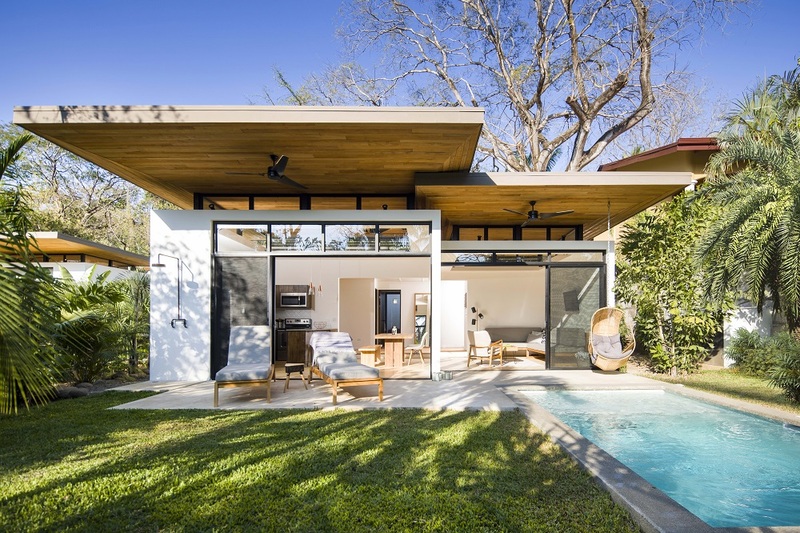 The Private Residence houses three ensuite tents (one family combination and one convertible tent) complemented with a private bar, dining area and infinity pool. Not least of all, the property will reflect Elewana and TNC’s commitment to the environment by limiting its ecological footprint wherever possible. Q. 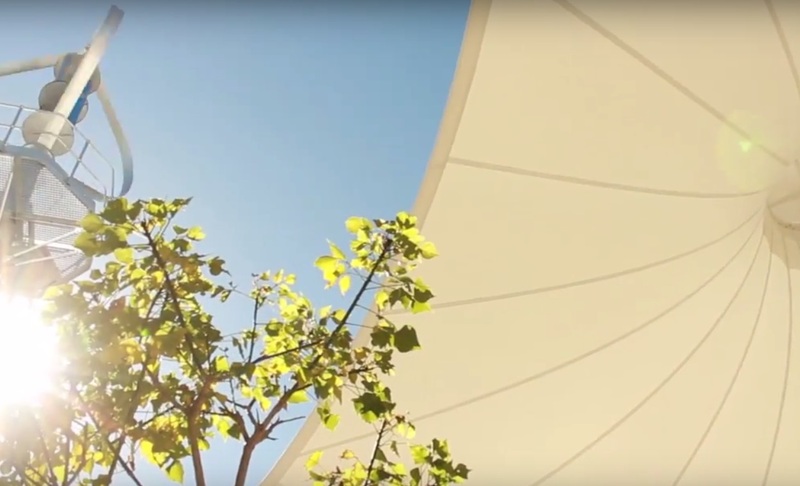 How does Pergo view sustainability? A. Unusually for our industry we have a whole department dedicated to covering all aspects of sustainability. This means that we can make significant commitments such as an almost energy-neutral production cycle for our lamination process. Nearly all the heat needed comes from the burning of the waste products of the process itself. Q. Other industries such as technology have built-in obsolescence that drives future sales. Why does Pergo manufacture products that last so long? A. Obsolescence is not our strategy. We offer excellence in durability because we believe that the long life of our products is the best solution for all of our futures. We would rather grow our business by having our customers as our best advertisers. Q. How important are the various certifications regarding sustainability? A. These are important but becoming confusing in the market place as there are so many — LEED, FSC, Nordic Swan, PEFC, to name a few. We are going to have to start manufacturing longer floorboards just to put all the different logos on! Currently we are working on an initiative to actively develop a single, new label that will allow consumers to better understand sustainability. Scheduled to launch October 2017 and set amongst virgin coral reef, the Gran Meliá hotel will offer 95 private villas, including 100 rooms, as well as three restaurants, a bar and café, spa, leisure centre and several retail shops. The hotel will also be able to arrange and host exclusive private events and romantic dinners on a smaller nearby island. 66 per cent of Maldivian visitors are honeymooners or guests who wish to enjoy an idyllic beach holiday with exceptional diving. Meliá Serengeti Lodge, scheduled to open in June 2017, will be Meliá Hotels International first state-of-the-art sustainable hotel, located on the natural terraces on the southern slopes of Nyamuma, with spectacular views over the peaceful valley of the Mbalageti River. 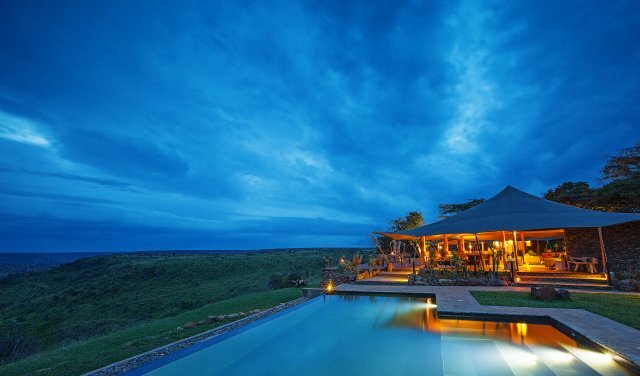 To be located 700 meters below the peak of Nyamuma, the hotel will offer a perfect viewpoint for the annual migration of one million blue wildebeest, lions, leopards and 250,000 zebras which pass through the valley every year in search of rains and cooler pastures. Meliá Serengeti Lodge will sit on three natural terraces that descend from an elevated plateau, with the lodge located on the middle terrace and the hotel’s architectural design will adopt the gentle curves of the land, creating an intimate link with the vegetation and rocky outcrops. 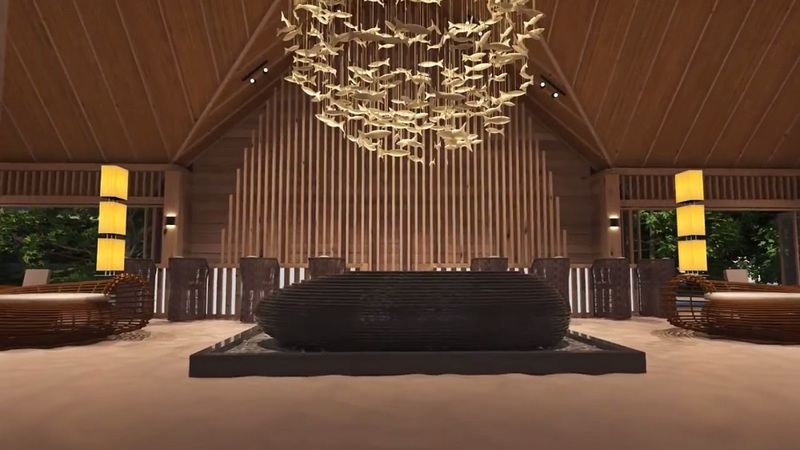 The location’s natural surroundings have inspired the design of this unique hotel, as the suites will offer a unique and privileged African experience in a secure and luxurious environment. Meliá Serengeti Lodge will boasts 50 rooms consisting of 25 ‘Meliá Forest’ rooms, 23 ‘Meliá Hills’ rooms and two ‘Serengeti Suites’. The lounges and restaurants will overlook sunny terraces around an infinity pool with pool bar, barbecue patios, with stone and foliage strategically planted and designed to ensure a cool and attractive environment. 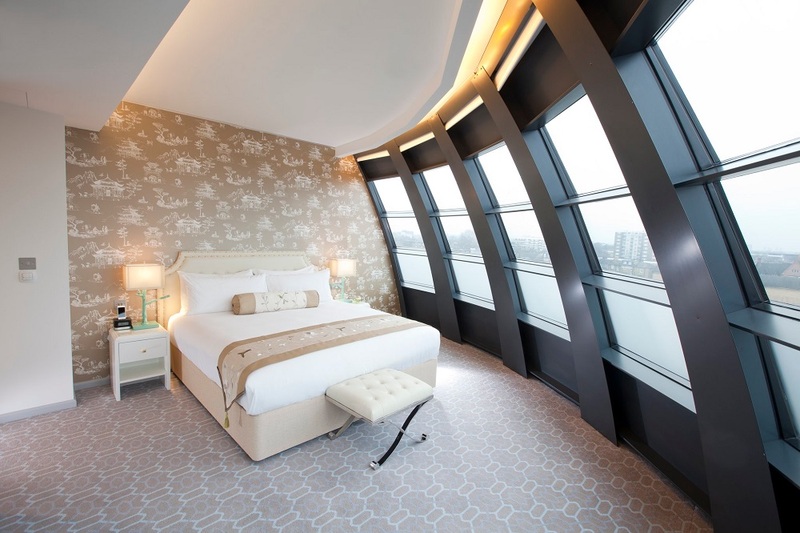 Meliá Almaty is the first hotel to be signed by Meliá Hotels International in Kazakhstan. The hotel will be situated amongst the mountains of Tien Shan, Altay, and Ulytau, a winter sports paradise. Kazakhstan is blessed with vast natural resources of oil, gas and mines; as well as traditional cultural attractions that illuminate the relationship between the Kazakh people and nomadic tribes, influenced by the Russian occupation in the 18th century. In 2013, the country received five million visitors and this is expected to grow to eight million by 2024. 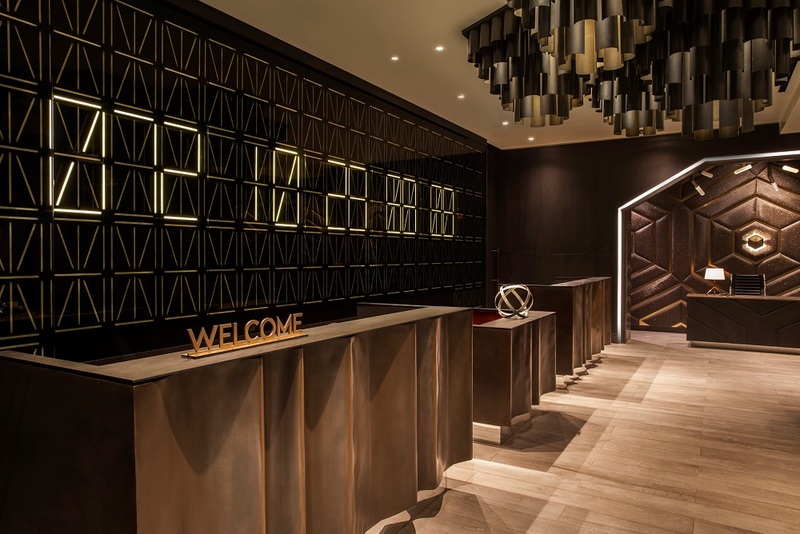 Meliá Hotels International will launch a hotel specialising in corporate travel and congresses in Almaty, the former capital of Kazakhstan until 1997, as it is the largest city in the country, which aims to become one of the top 30 economies in the world by 2050. Meliá Almaty will open in 2018, providing 250 rooms, including 50 Suites and Junior Suites. The hotel will boast cutting-edge architectural design through a steel and glass structure that will also home a restaurant, bar, lounge, spa and fitness centre, as well as meeting rooms. Eco-consciousness and sustainability is having more and more of an impact on how hotels are designed and built – not to mention how they are decorated inside. Guests are becoming savvy and expect hotel groups to offer a product that meets their standards of environmental responsibility; much the same way as they do with their food products or their cars. Environmental issues press more and more heavily on us all as the realisation of the fragility of our planet begins to dawn on us. Who can honestly say these days that they don’t look at the provenance and number of artificial additives in their products or the overall ecological promises of a brand? Hotel guests are equally insistent. What are the corporate and socially responsibility ambitions of the hotel operator? 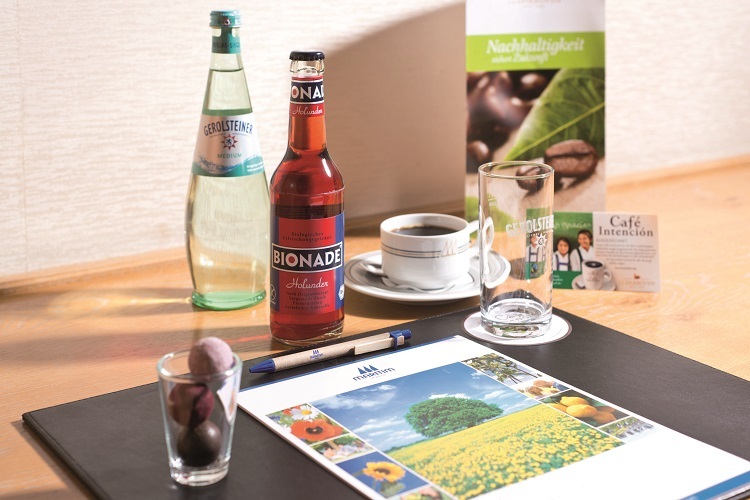 The travel managers of large corporates do not allow bookings at hotels that do not meet their own minimum standards for recycling and waste management, re-use, local sourcing, the environmental-suitability of cleaning products and similar criteria. These factors are used to judge whether or not your hotel makes it on the preferred supplier list of companies who need thousands of room nights every year. At a more personal level, checks on the availability of hypoallergenic pillows and whether or not the hotel has got carpets or wood floors are becoming more commonplace from health-conscious guests. And surely the most environmentally-sound products are those that last forever. Stone is a good example. Take a marble bath surround that never has to be replaced then. 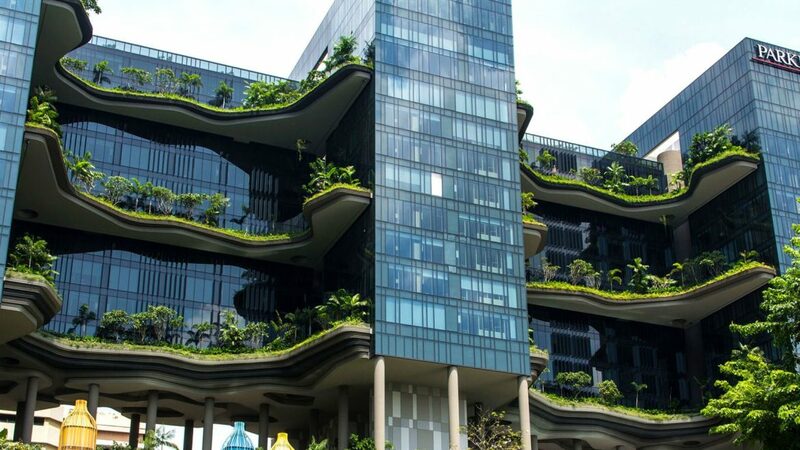 Putting aside the environmental costs of procurement and installation, it is truly sustainable. Similarly Pergo’s commitment to quality means that they can offer lifetime warranties on most of their products. Not only does this express supreme confidence it also shows a commitment to a sustainable future. Another commitment by Pergo is to only use wood sourced from sustainable forests having either the FSC or PEFC certification. Every tree used is replaced and therefore CO2 emissions are naturally stored in the wood flooring. How neat is that!? 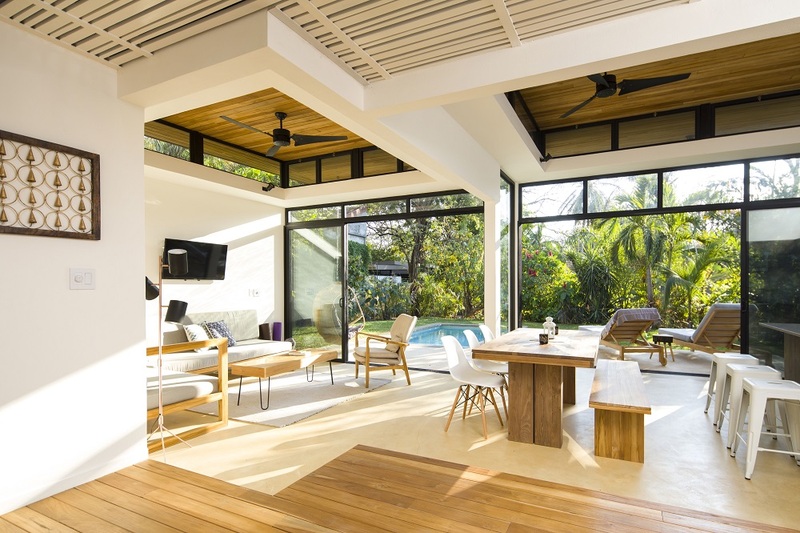 The traditional get-away-from-it-all break is fast becoming the stay-connected-to-everything trip, with travellers expecting hotels to provide smart technology, charging points and free internet access. A survey by E.ON of 2,000 people – both leisure and business customers – found hotel guests’ expectations have changed significantly, especially in the last five years. 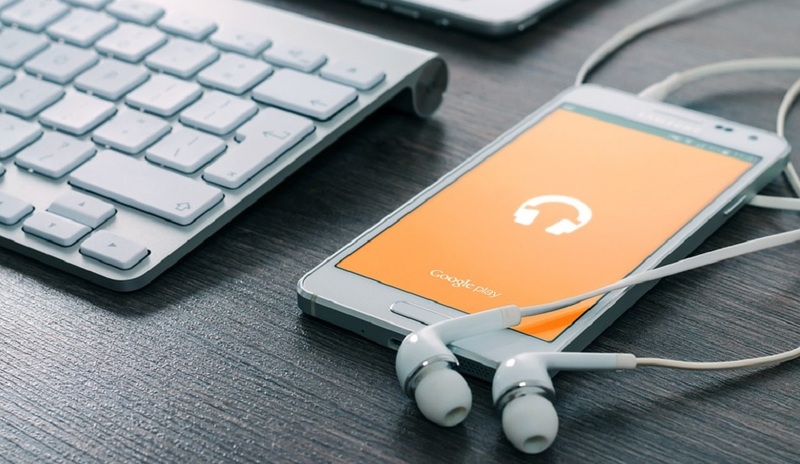 Travellers now take 40% more gadgets away with them than they did at the turn of the decade and expect convenient connections rather than the traditional features of a hotel. 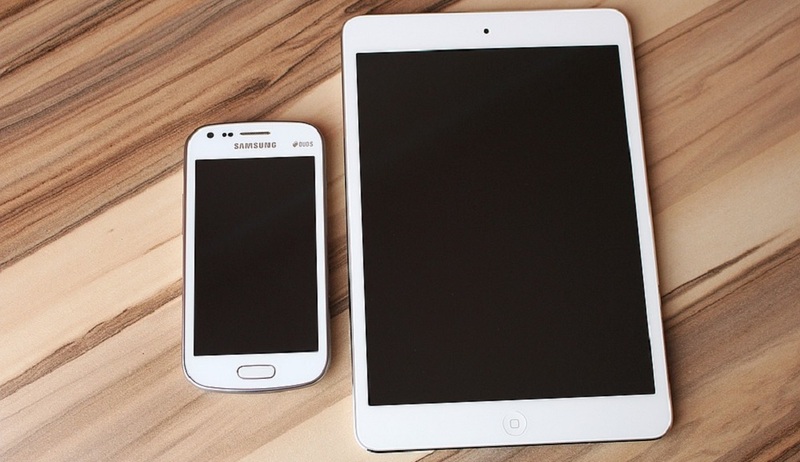 The use of e-readers has increased three-fold, wearable tech such as smart watches has doubled, and two in five people (44%) now take a tablet on holiday compared to only one-in-20 people (6%) five years ago. 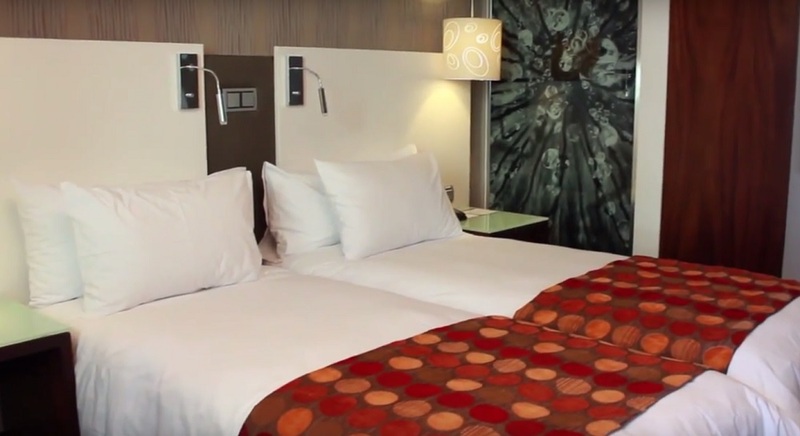 These rapidly shifting demands have important implications for owners and designers of hotels. Guests are now becoming savvy to tricks designers have been pioneering for years; namely half of consumers surveyed said they would like hotels to provide universal chargers and to locate plug sockets next to the bed for convenience, 40% expect USB charging sockets in their rooms, and a fifth (22%) demand wireless charging points. Expectations around more traditional hotel features have also changed. Three quarters (76%) of travellers want their hotels to provide free Wi-Fi, with 20% of people saying this is more important than a complimentary breakfast. 40% would happily forgo that stalwart of hotel rooms, a landline telephone in their room. Guests don’t just expect hotels to help power the gadgets they bring with them, but are increasingly demanding that the latest smart technology is provided. A third of travellers would like a smart television, while 18% want smart appliances like automatic coffee makers for when they wake up. Almost a quarter (24%) would like to be able to control things like air-conditioning or the entertainment system remotely using Bluetooth or Wi-Fi, and in a rather space-age twist, 5% said they would even like to have a robot butler to serve them in their rooms. The provision of smart technology is now a deciding factor in whether some guests stay at a hotel, with one in 10 saying they would choose a hotel based on whether it had the latest technology. The increasingly technological demands of hotel guests will have implications for their energy use during their stay. What’s more, a third of people surveyed admitted to using more energy than they would at home. At the same time, half of travellers say that the sustainability and energy use of a hotel is important to them. The same number would be willing to be an ‘eco-customer’ if they got a 10% discount for adopting environmentally friendly behaviours such as using one towel throughout their visit, having their lights and electricity on stand-by, and using a limited supply for hot water. Almost a third of guests go so far as to say that hotels should be judged on how sustainable they are, with an accreditation system to rank their sustainability. Phil Gilbert, Head of Business Energy Solutions at E.ON, said: “Consumers are demanding more and more from their hotels who are in turn having to use more energy to accommodate for the rising use of technology. It is therefore more important than ever that hotels stay on top of their energy use and monitor growing consumption. 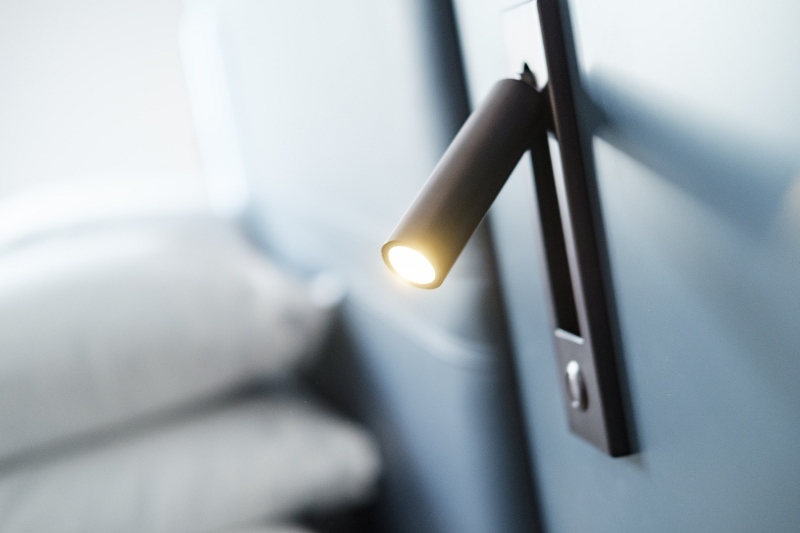 “The changes in travelling habits and the demands of guests will have a significant impact on hotels both small and large – not just from their impact on energy consumption, it’s also something to bear in mind when renovating your accommodation,” he added. Most hotels refurbish every 7–10 years and this provides a significant opportunity to implement these changing guest preferences as well as adapting for energy savings. According to the Carbon Trust, some hospitality businesses have seen energy costs reduce by as much as 40% if energy efficiency opportunities are maximised during refurbishment. E.ON has developed an online Energy Toolkit which helps businesses of all sizes track and adapt their energy use through reports and alerts. With climate change being the hugely important topic it has become, it is little wonder the hospitality industry is beginning to focus a lot more on its environmental impact. Indeed, in the UK – which ranks in the top 5 globally for energy and utilities usage – there has been a monumental shift in the industry over the last decade to ensure that ecological responsibility is factored into building design and amenities usage post-build. – Marriott, one of the top three largest hotel chains in the world, has committed to reducing energy and water consumption across their entire property portfolio by 20%, by 2020. – IHG, the largest hotel group in the world, has challenged their properties to realise savings of up to 25% through their Green Engage policy. – Hotel laundry systems are often one of the worst offenders when it comes to water and energy waste – running just one machine 8 times a day, 7 days a week can equate to 18 litres per kilo and annual consumption figures of 1.3 million litres per year. Technology like Xeros’ bead-cleaning system allows this load to be drastically reduced to around 4 litres per kilo, saving an average of nearly a million litres of water on a like-for-like basis. Couple these reductions with significantly improved wash quality, technology like this is helping hotels such as Whittlebury Hall in Silverstone (partners of Hotel Designs publishers Forum Events) who are looking to enhance guest experience and do their bit to save the planet at the same time. 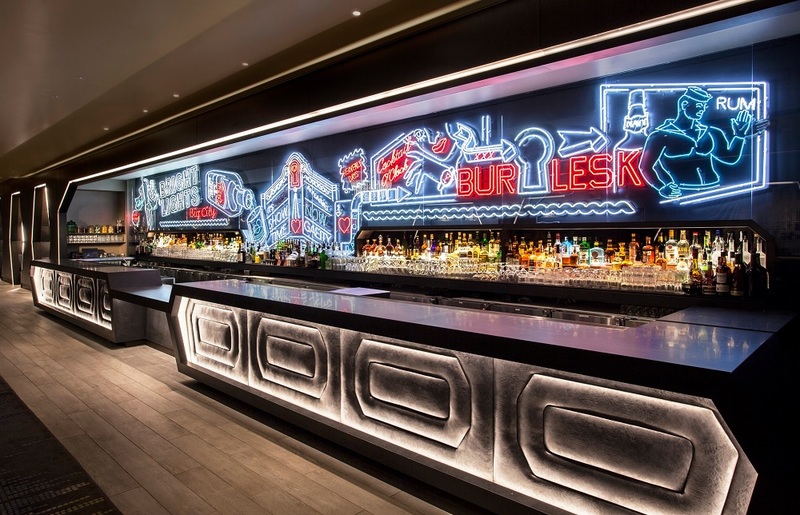 Water sustainability in the hospitality industry is an issue beginning to raise its head above the metallic-edged parapets of hotels springing up all over the world. It’s no secret that water consumption levels in the industry could definitely be reduced and cannot be maintained at its current levels. – Drinking water is running out. By 2030, global demand is expected to outstrip supply by 40 percent, and many rivers and lakes are drying up. Currently, 1.1 billion people lack access to water, and only one percent of all water consumed is fresh. The problem is critical, and the United Nations (UN) is responding by introducing Sustainable Development Goals (SDGs).